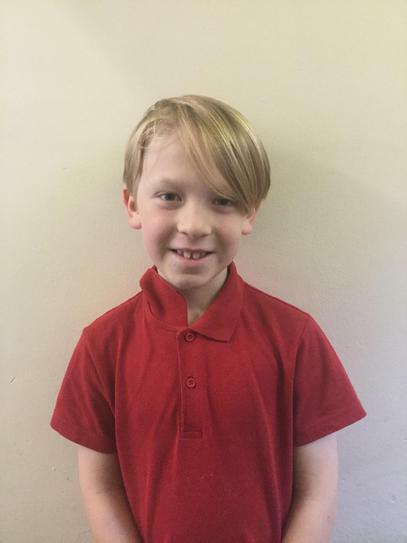 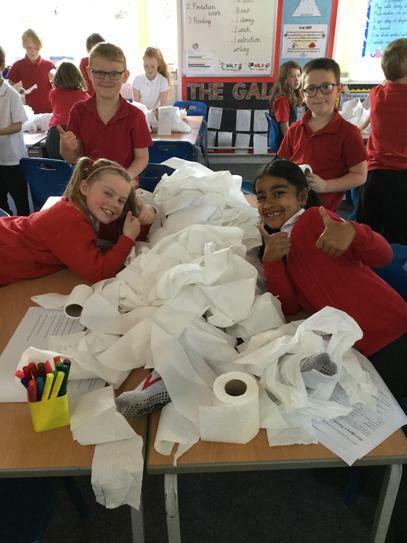 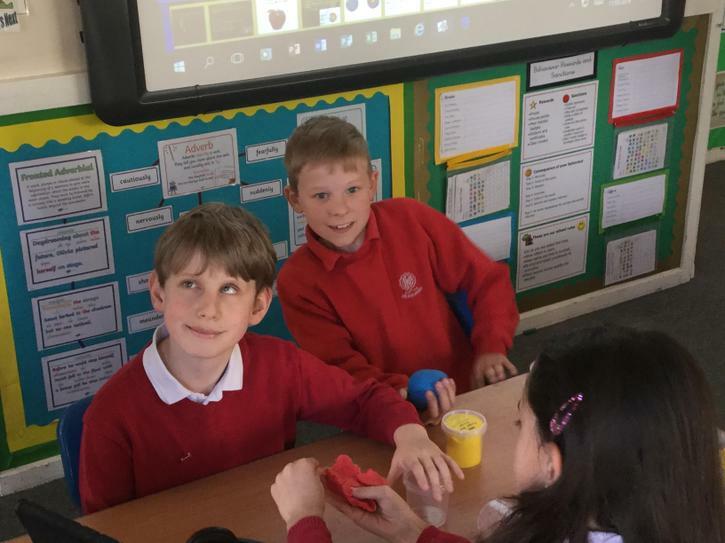 Welcome to 3/ 4 blue where we share photos, videos and information of the exciting and fun things we have been learning about in school! 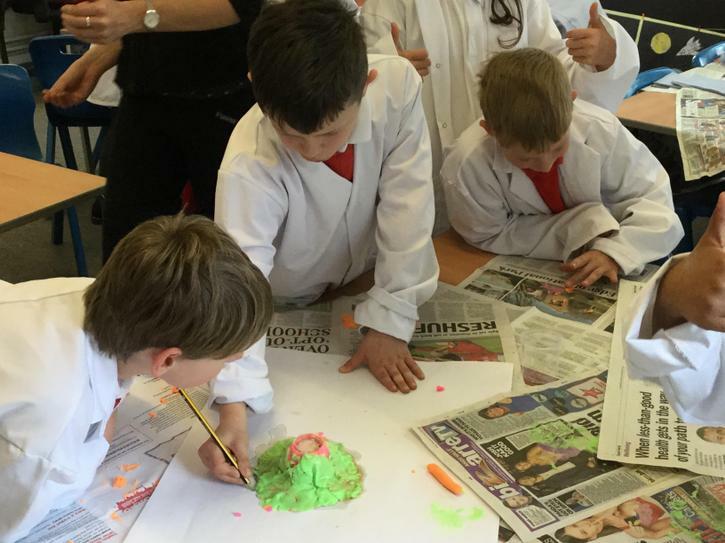 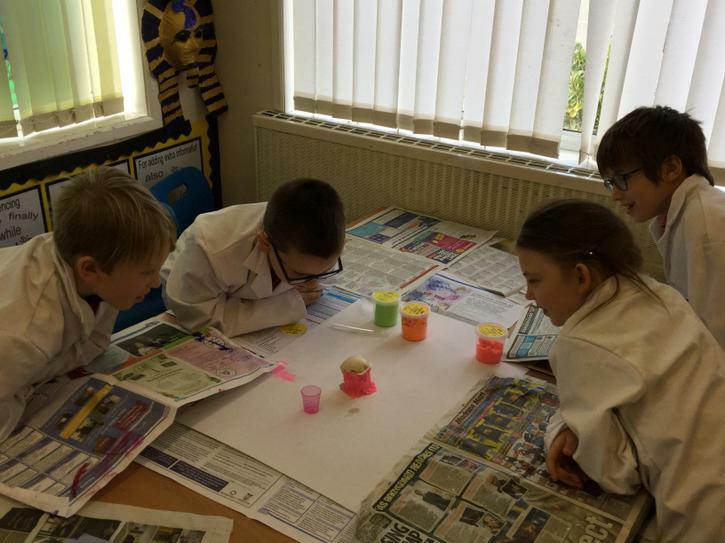 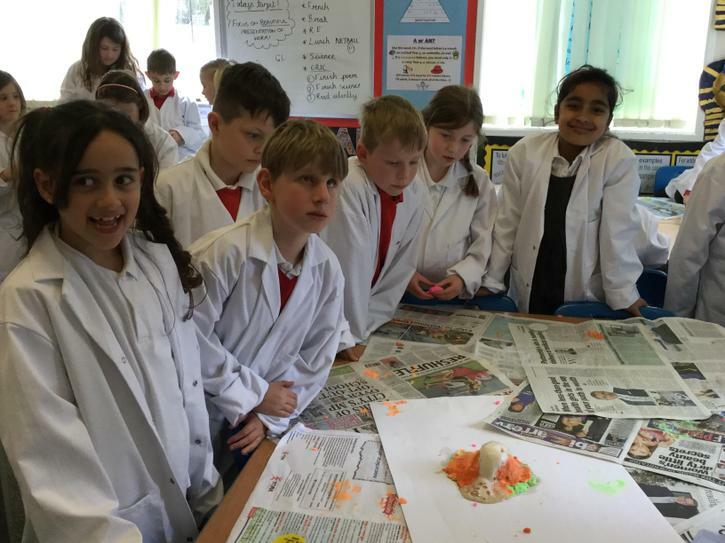 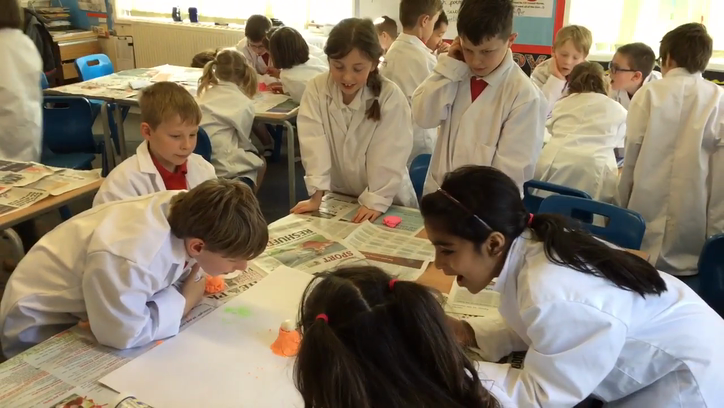 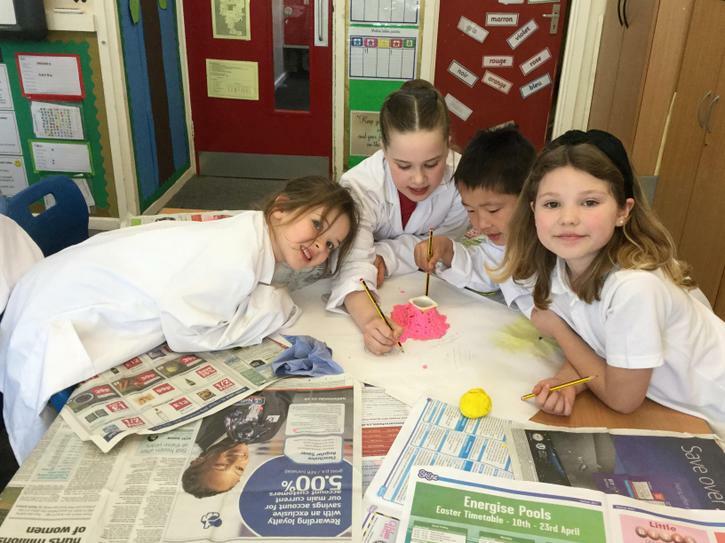 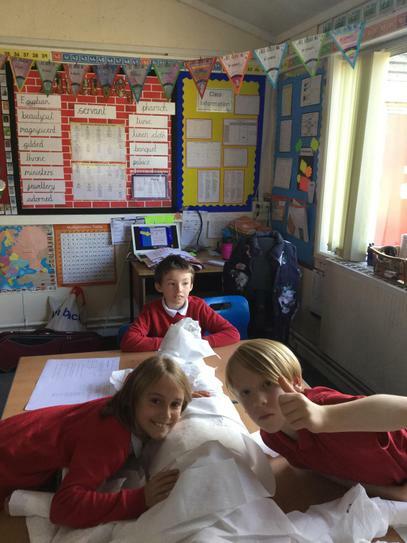 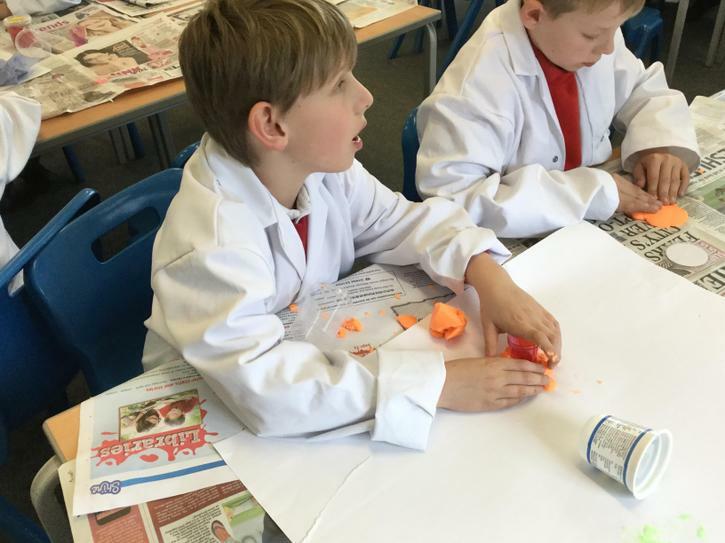 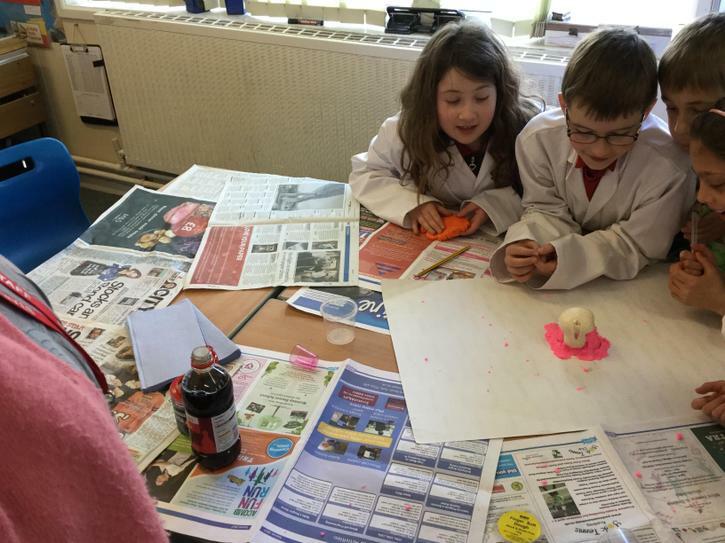 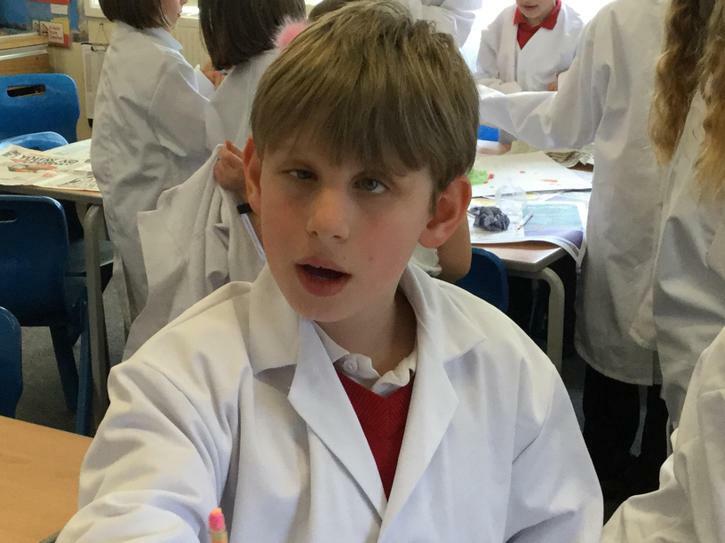 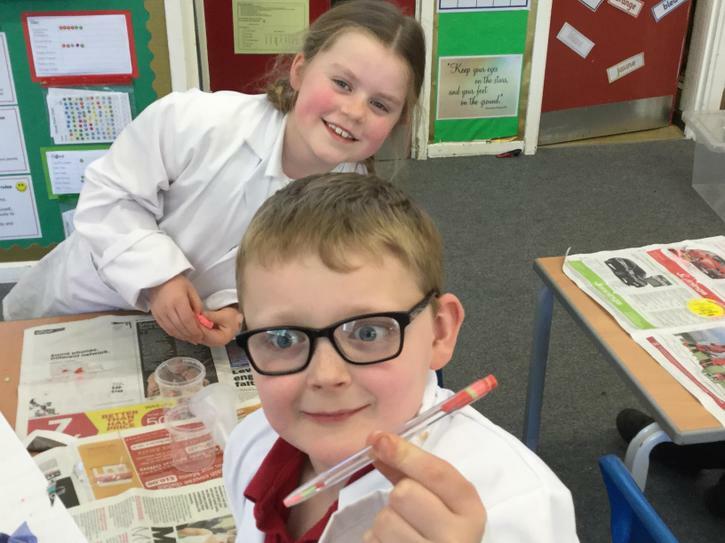 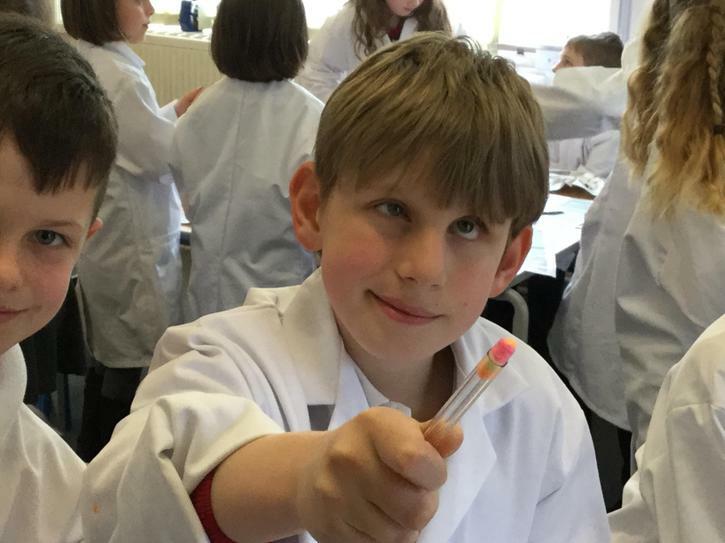 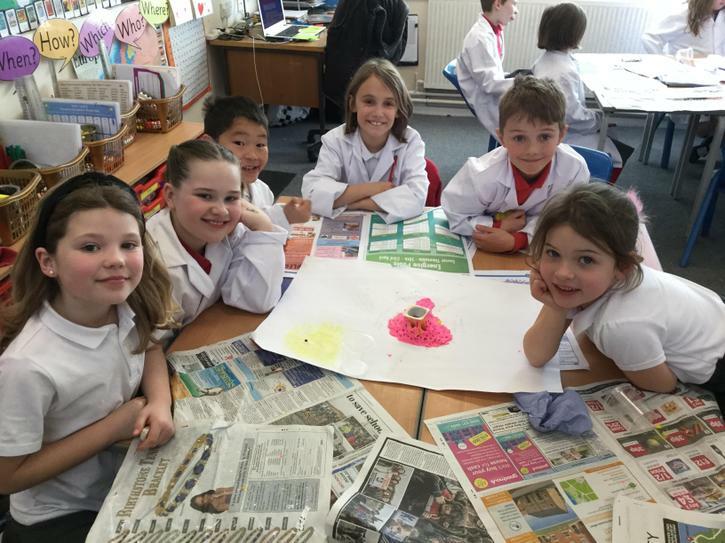 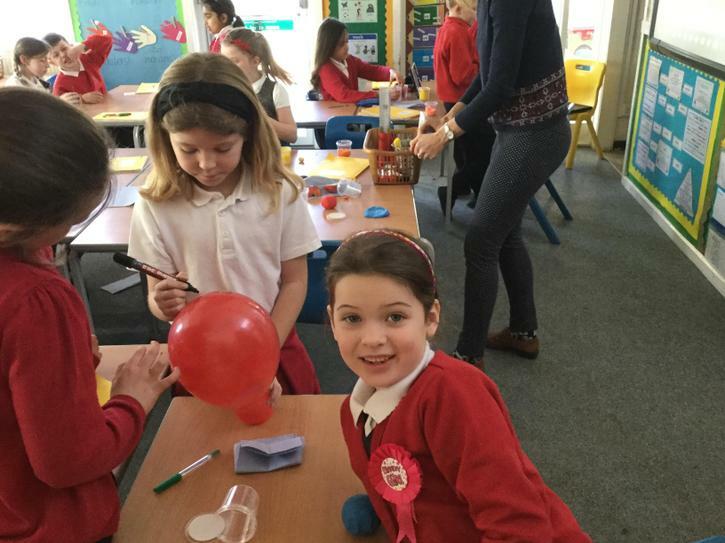 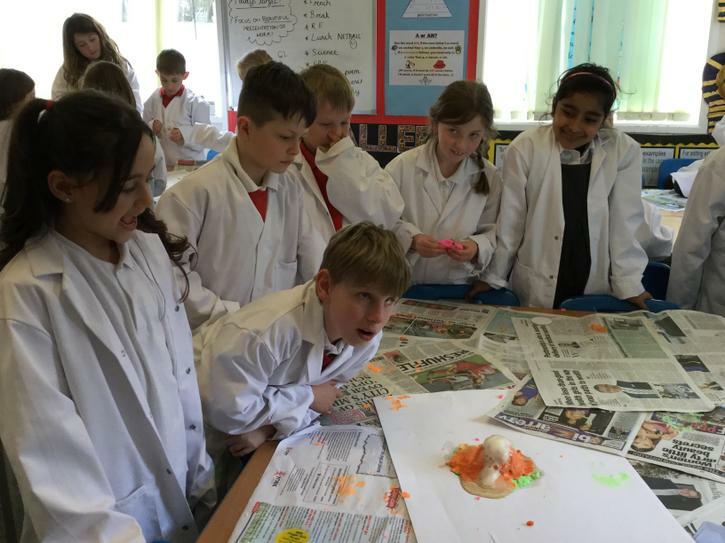 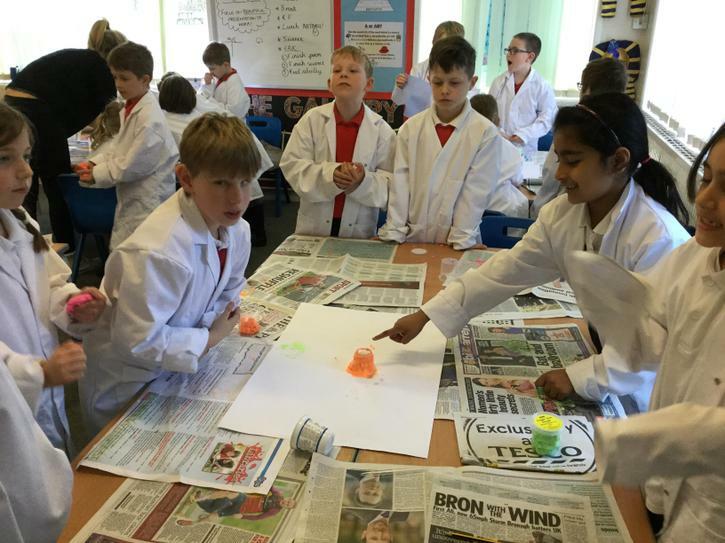 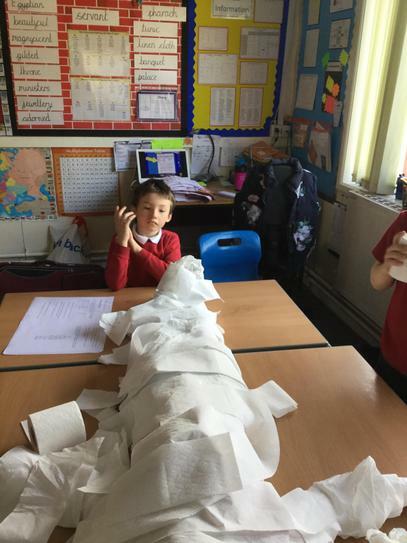 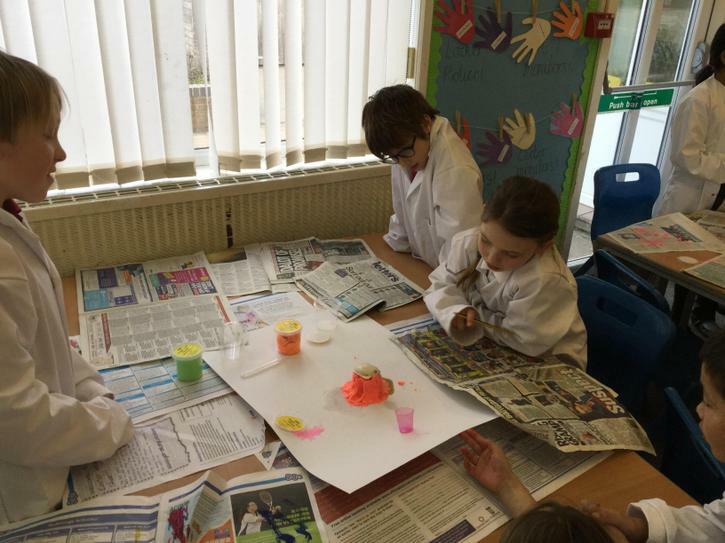 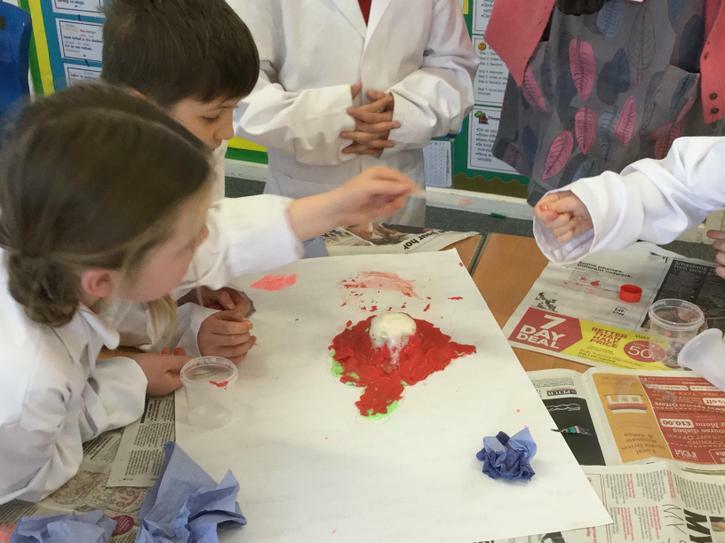 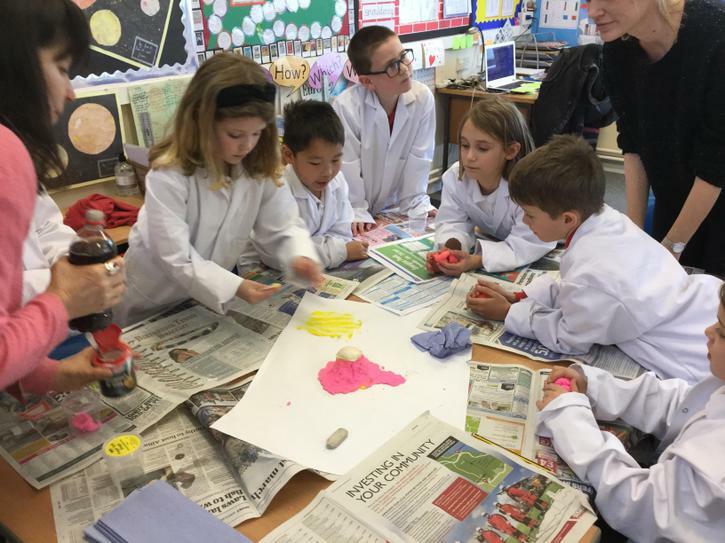 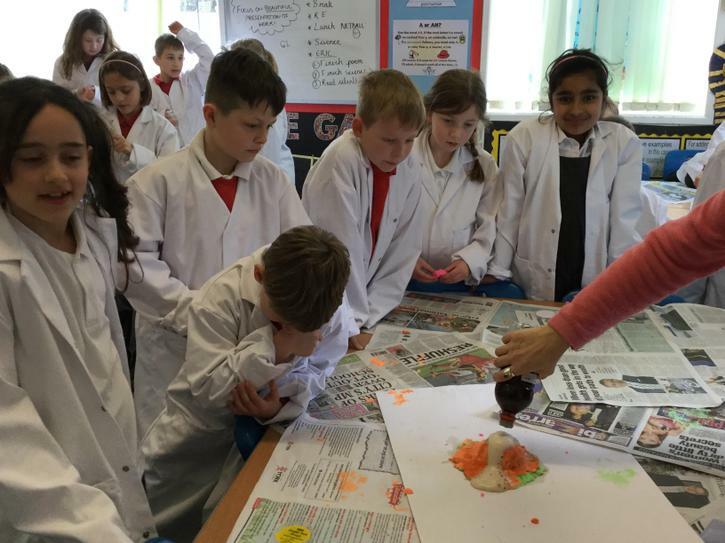 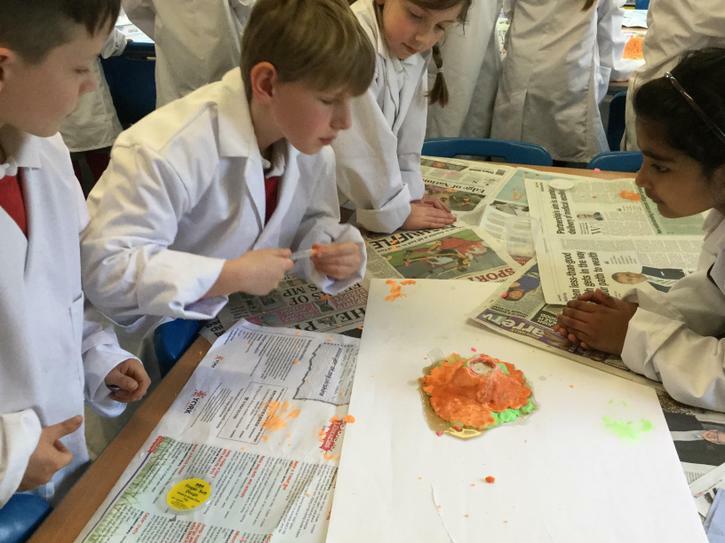 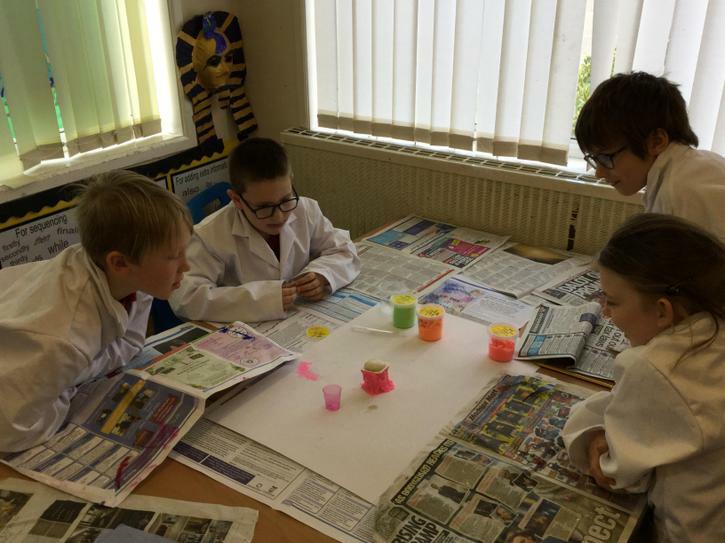 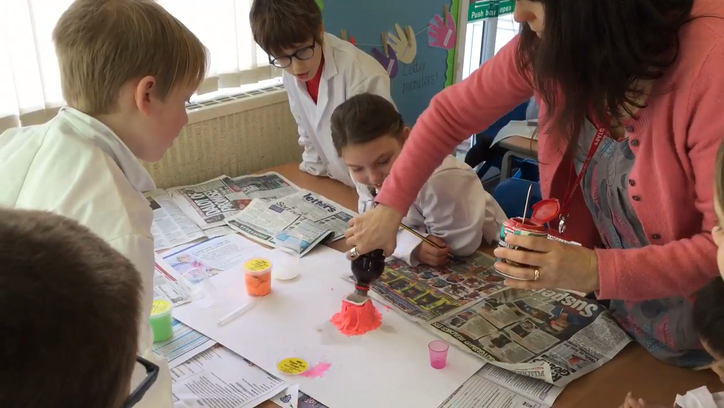 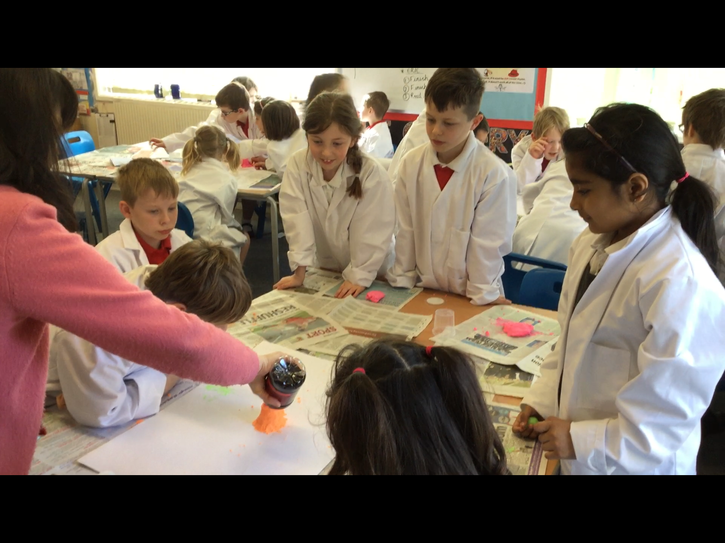 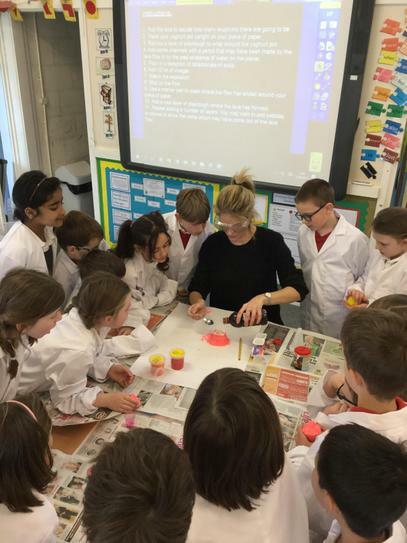 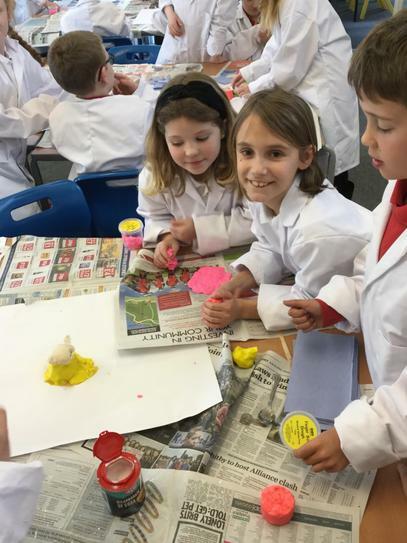 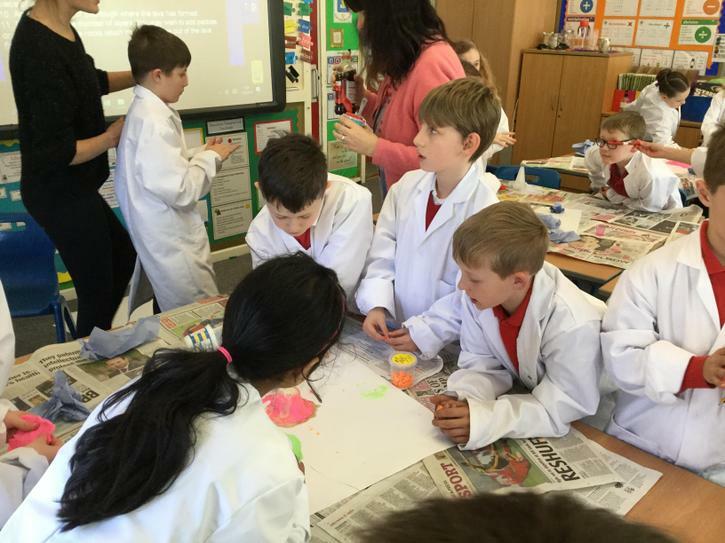 Today we learnt about how volcanoes are formed over time through an exciting science experiment involving using bicarbonate of soda and vinegar to make a volcanic explosion! 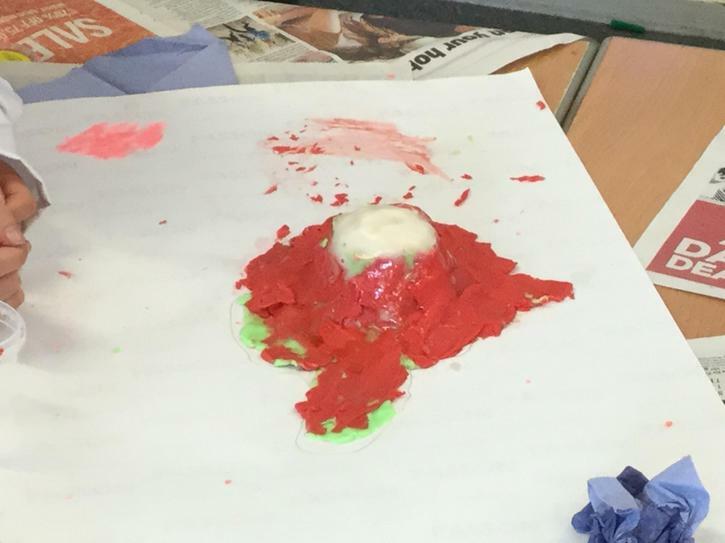 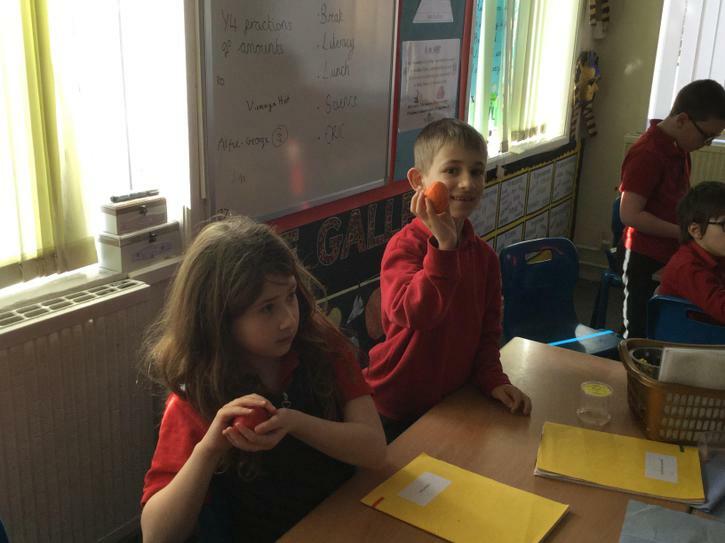 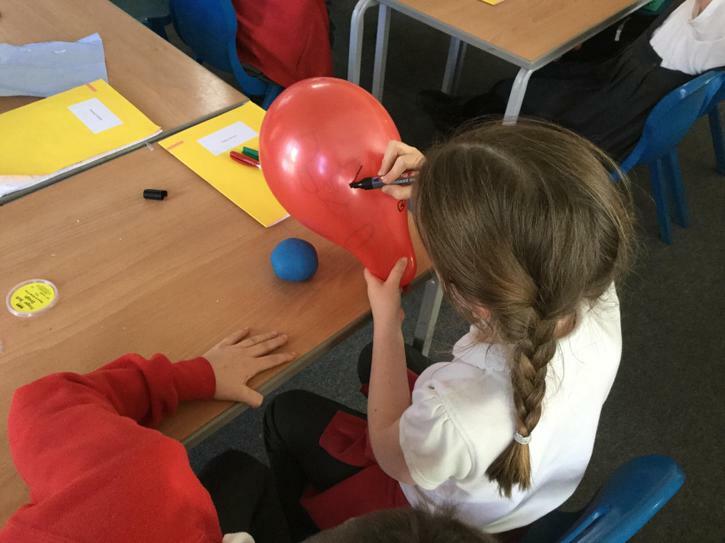 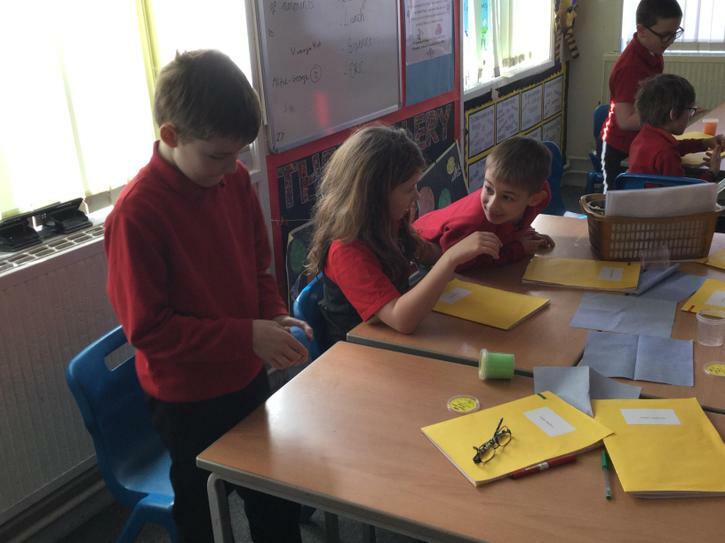 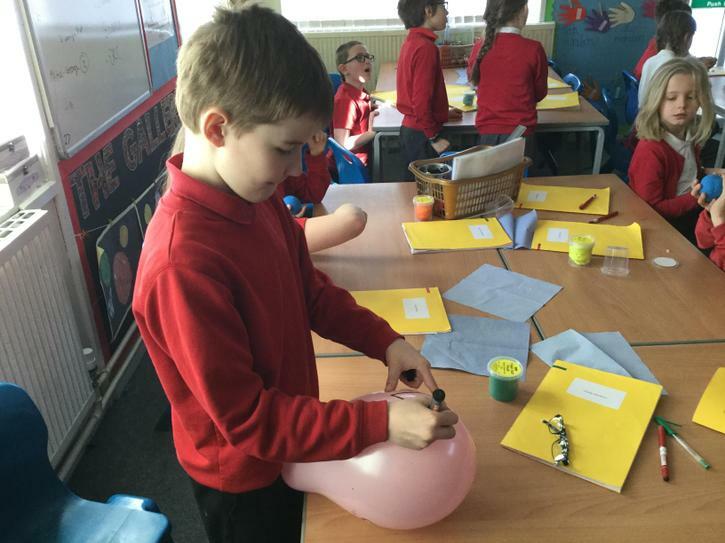 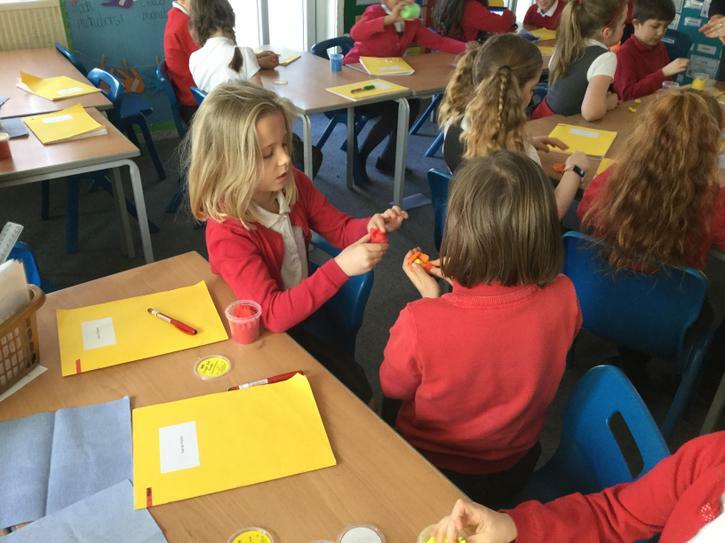 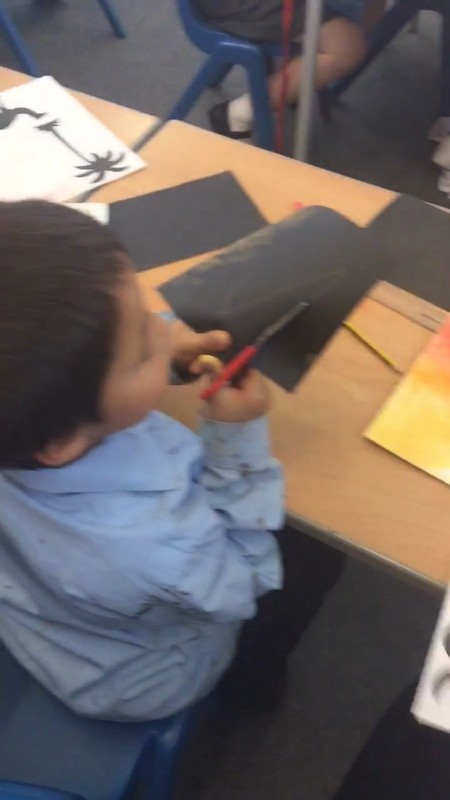 We learnt about how volcanologists can take samples from a volcano to understand more about when it has been formed. 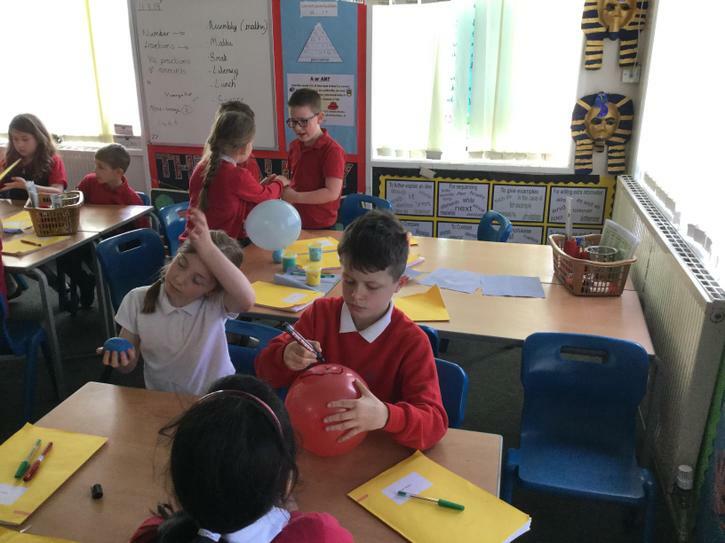 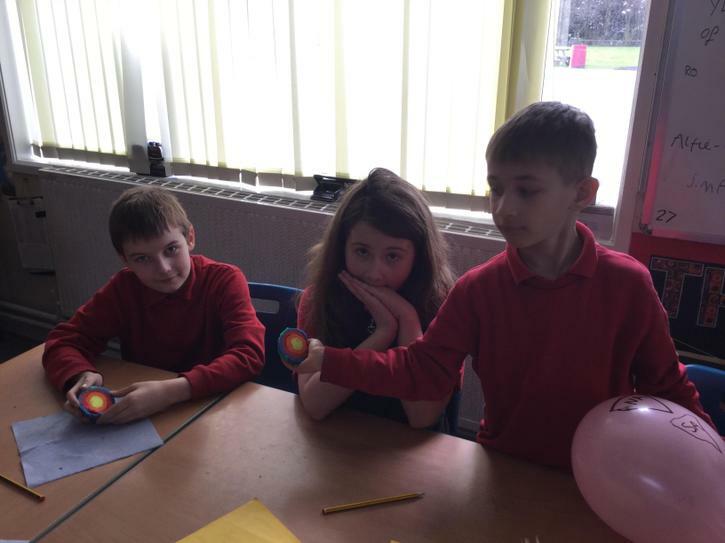 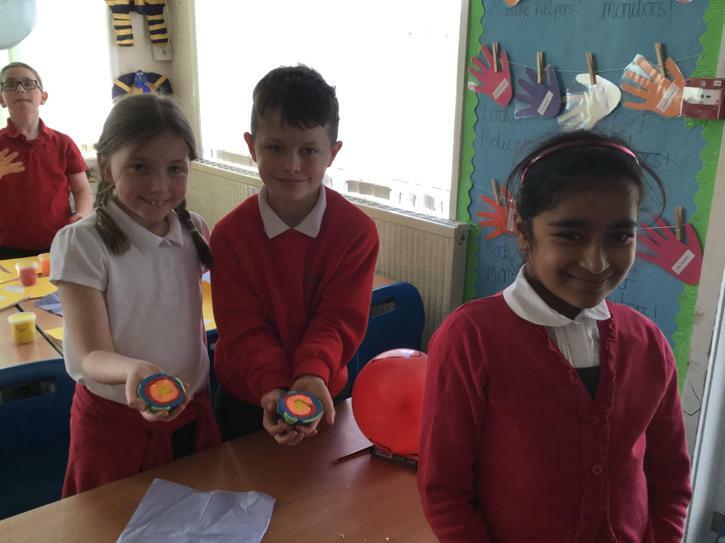 In light of our volcano topic, today we have been learning about the different layers of the Earth and what they are made up of. 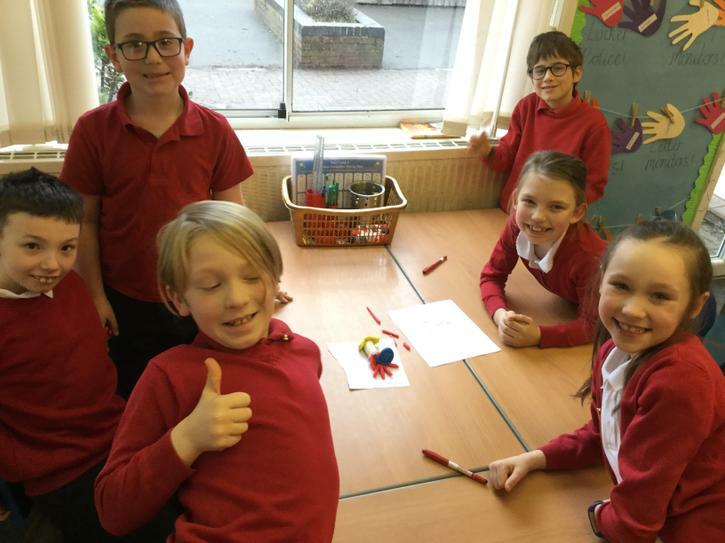 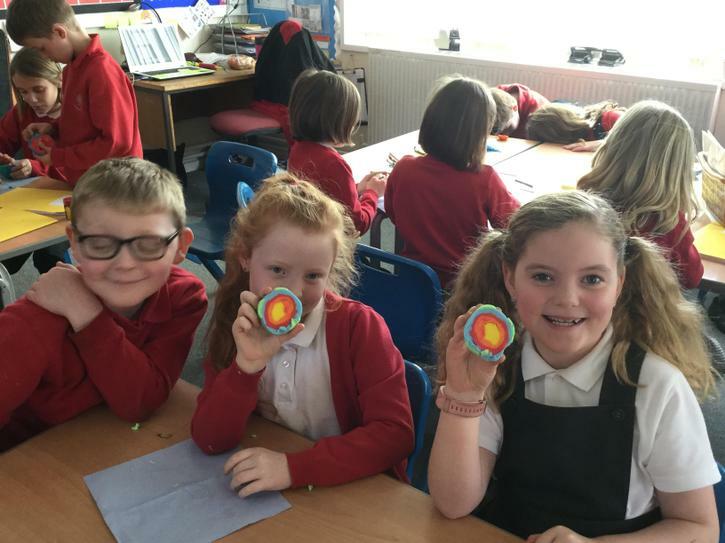 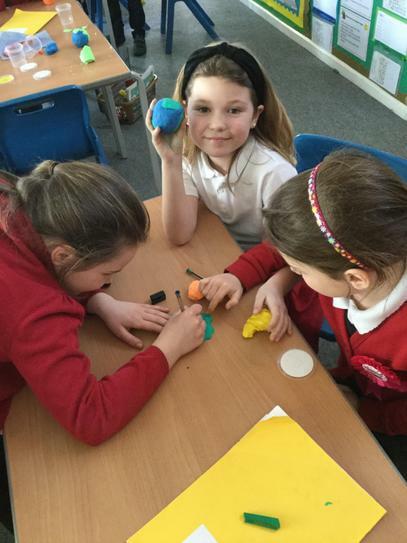 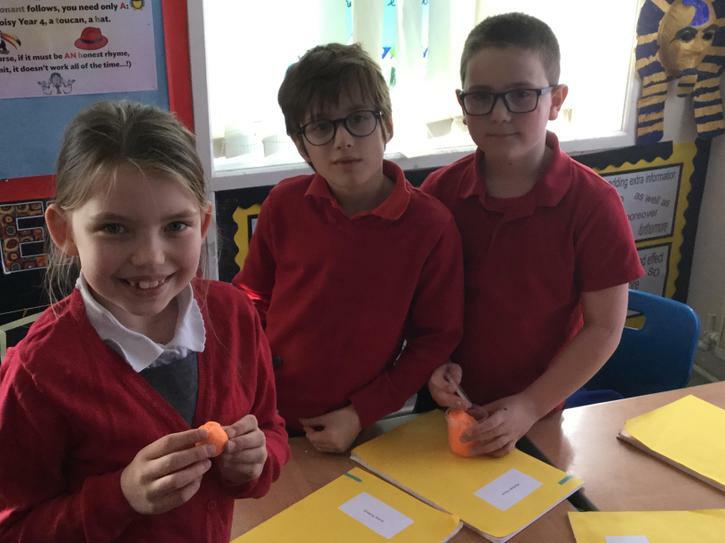 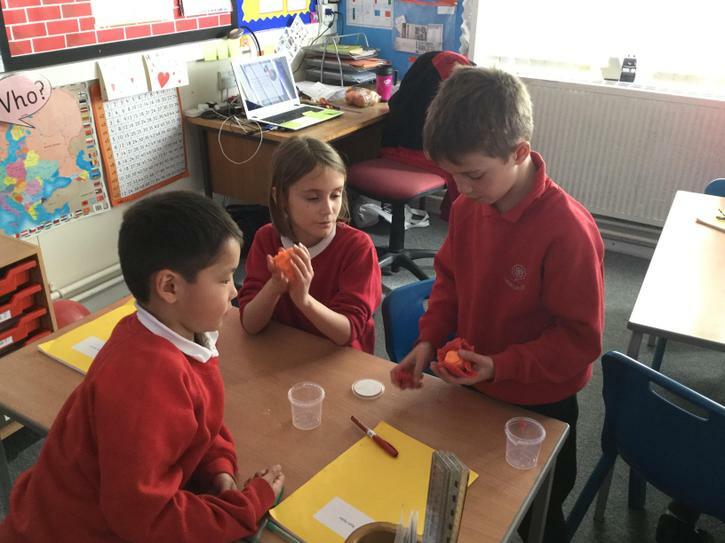 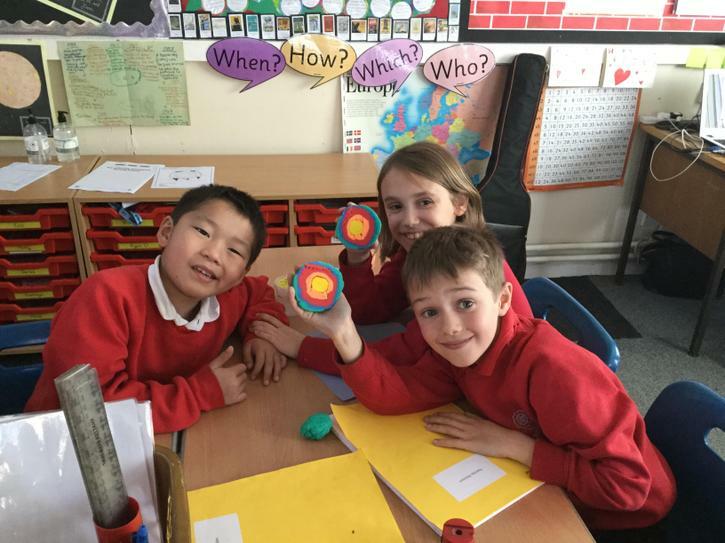 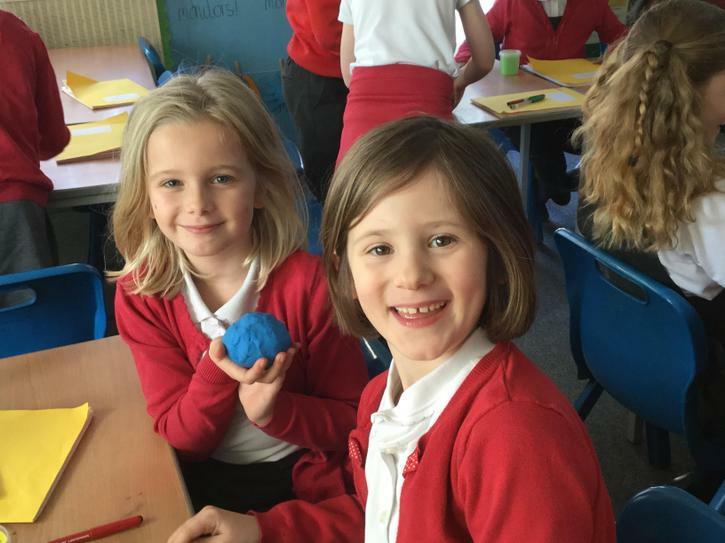 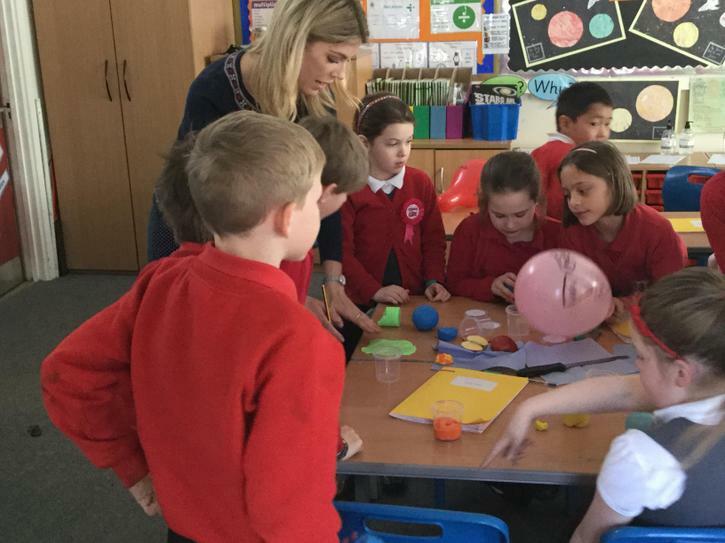 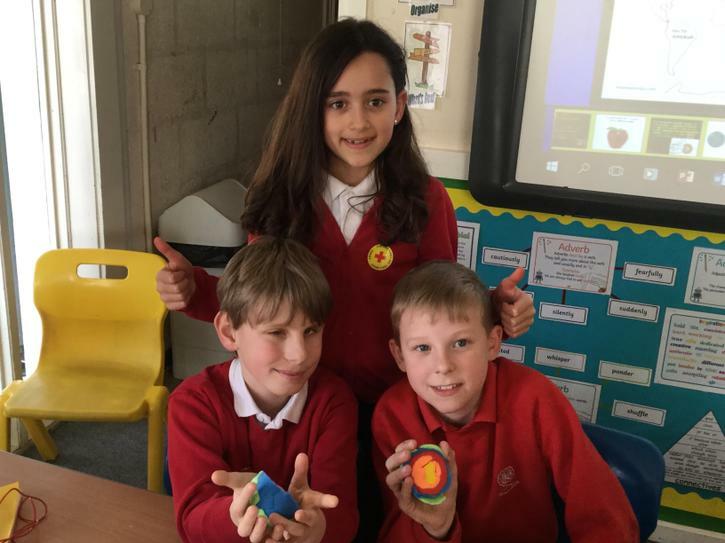 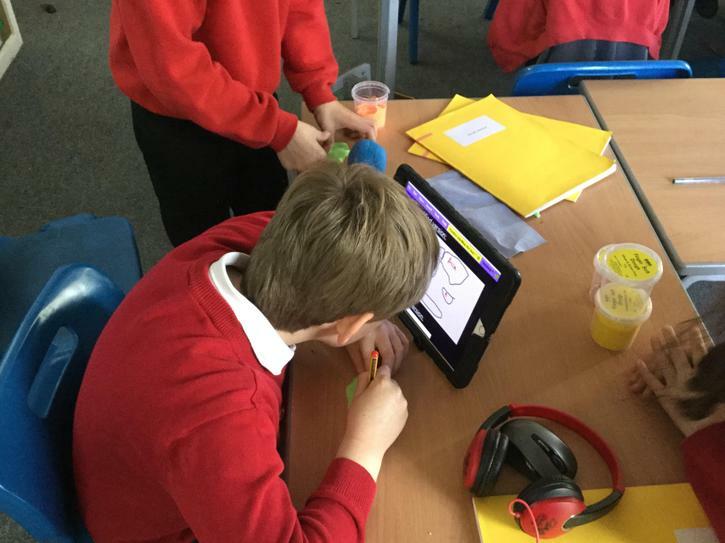 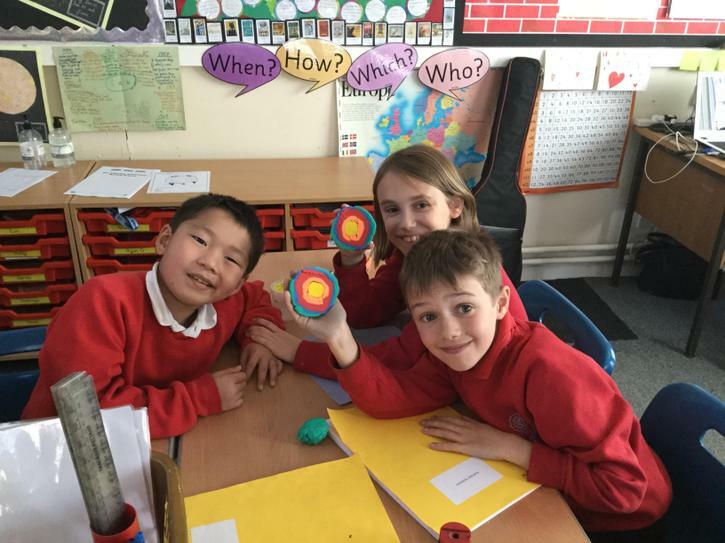 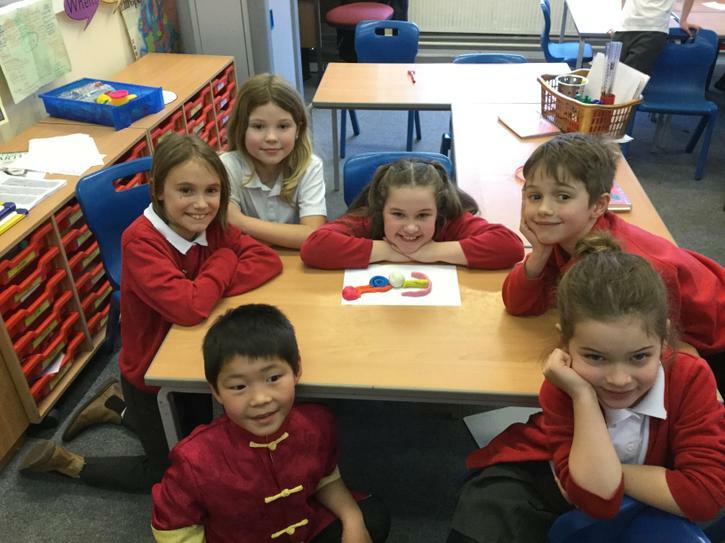 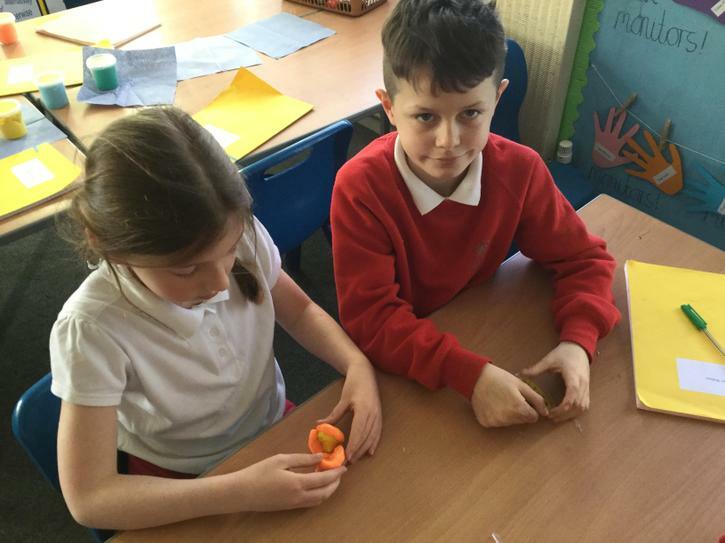 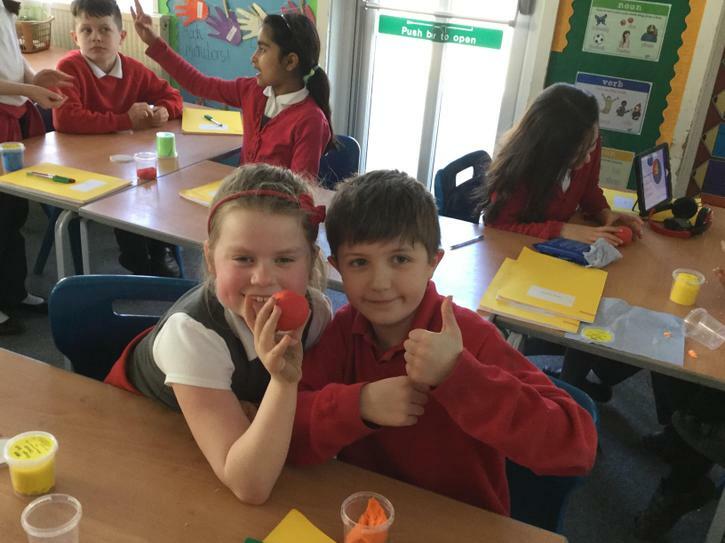 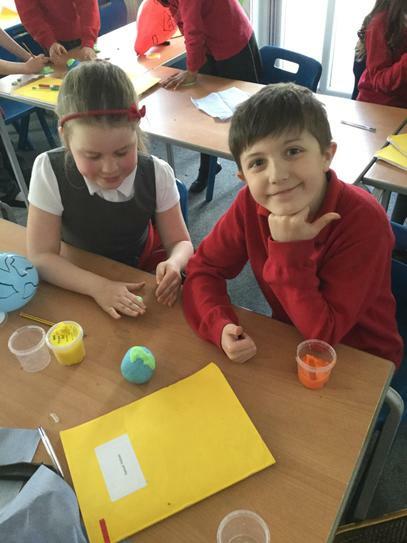 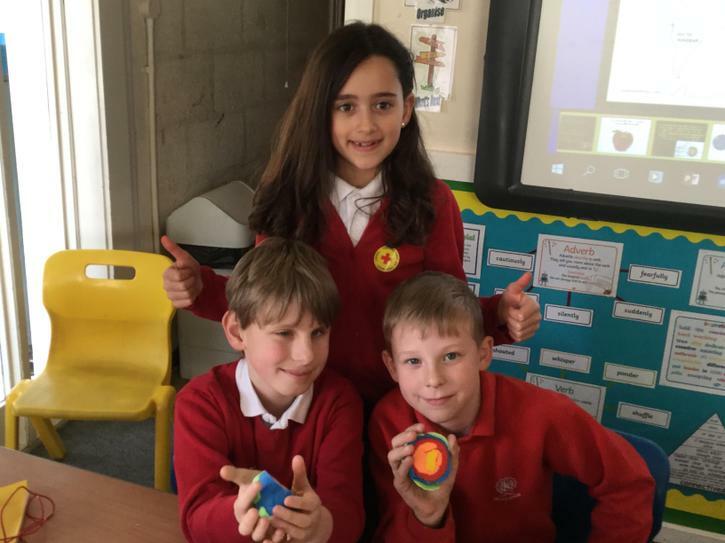 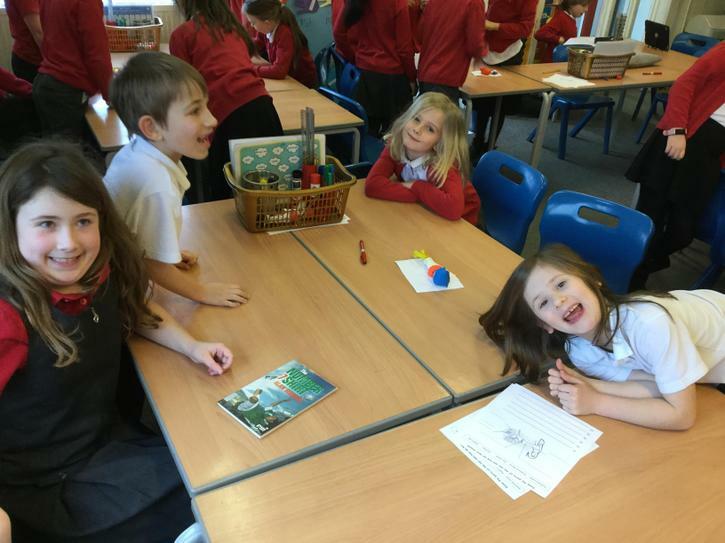 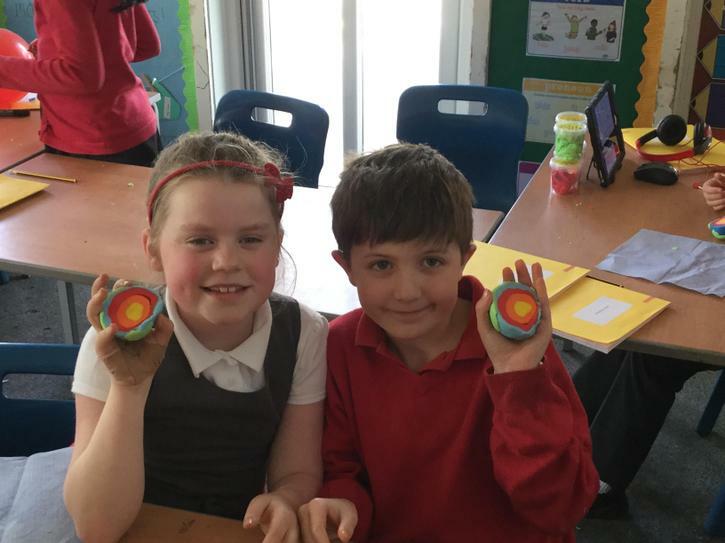 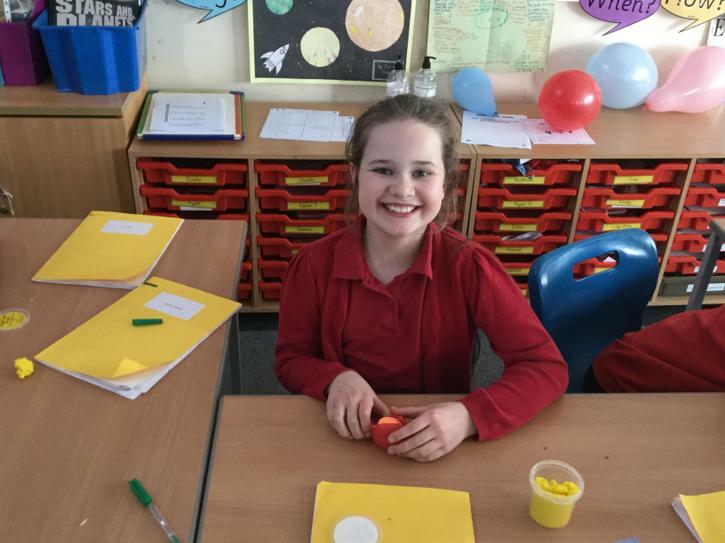 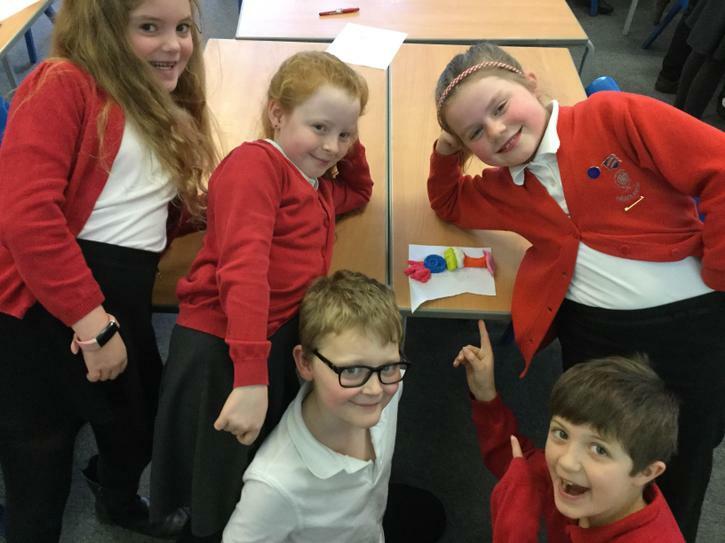 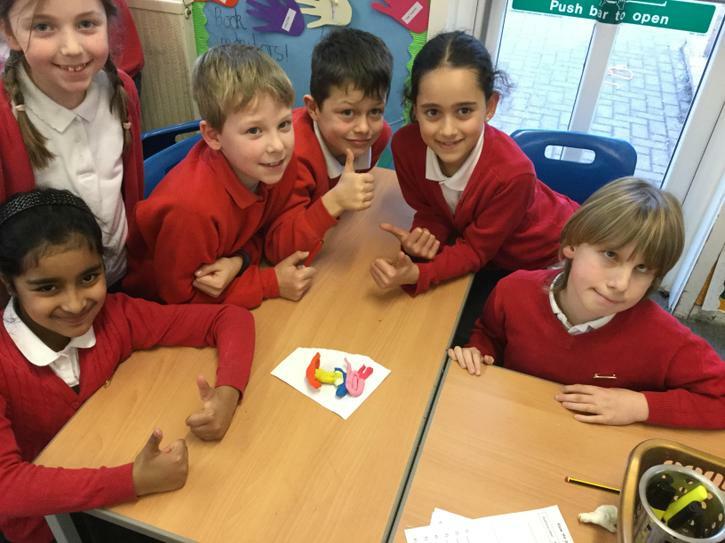 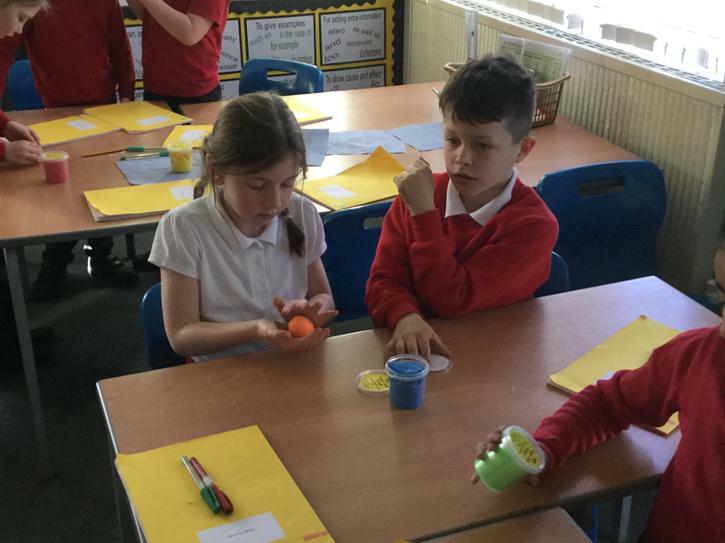 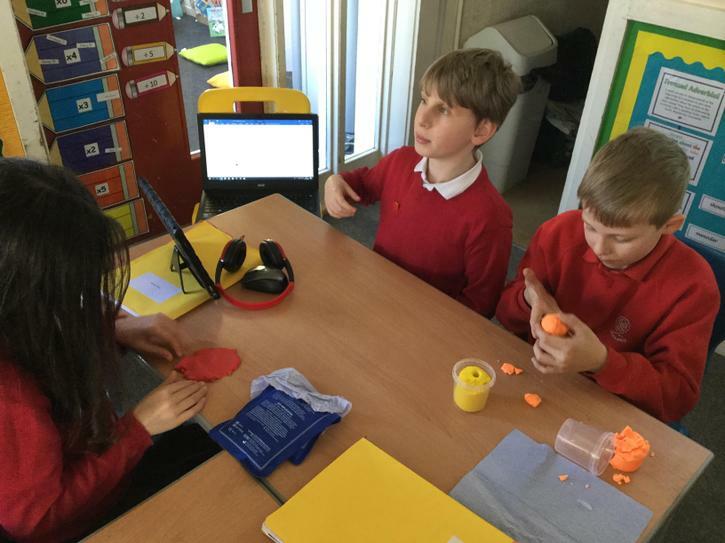 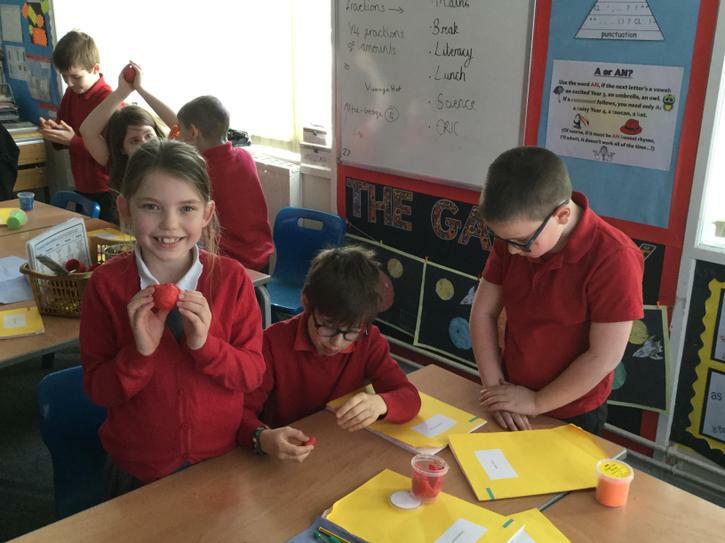 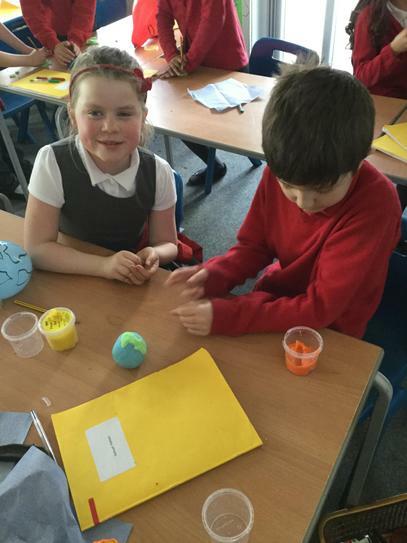 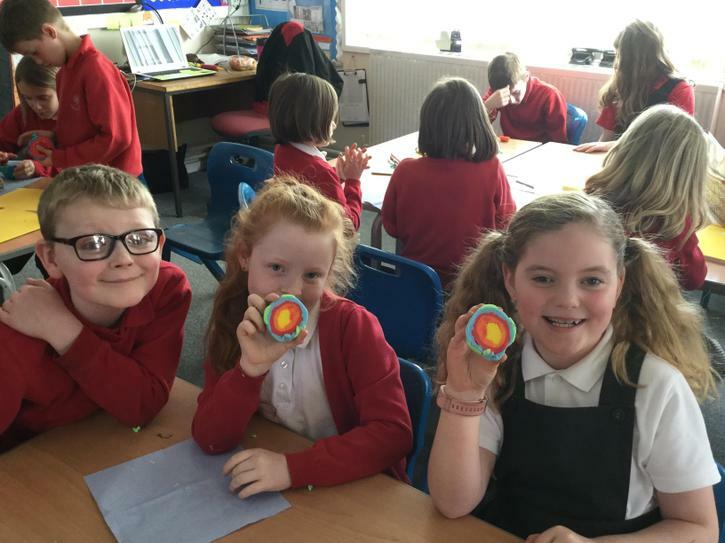 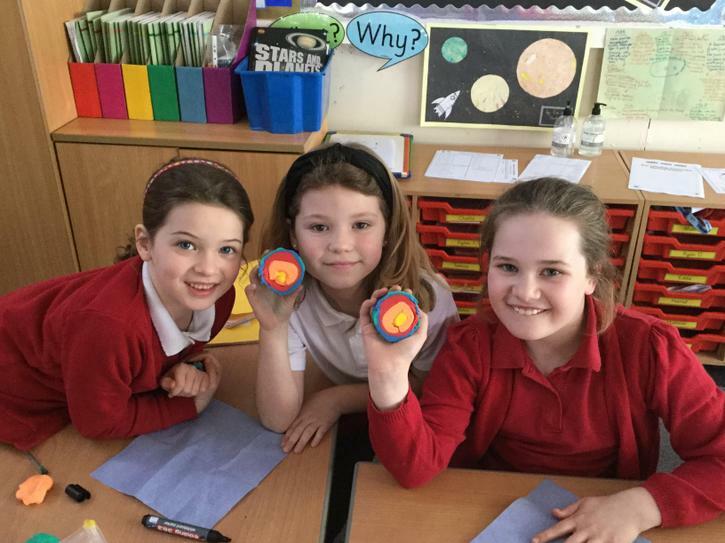 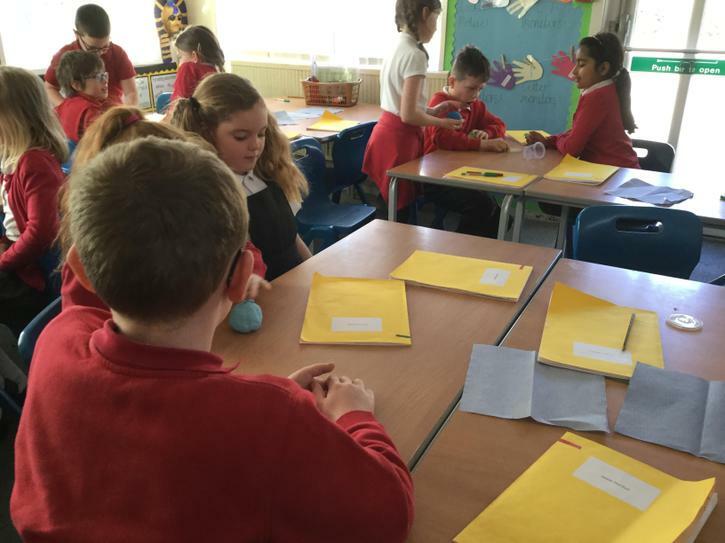 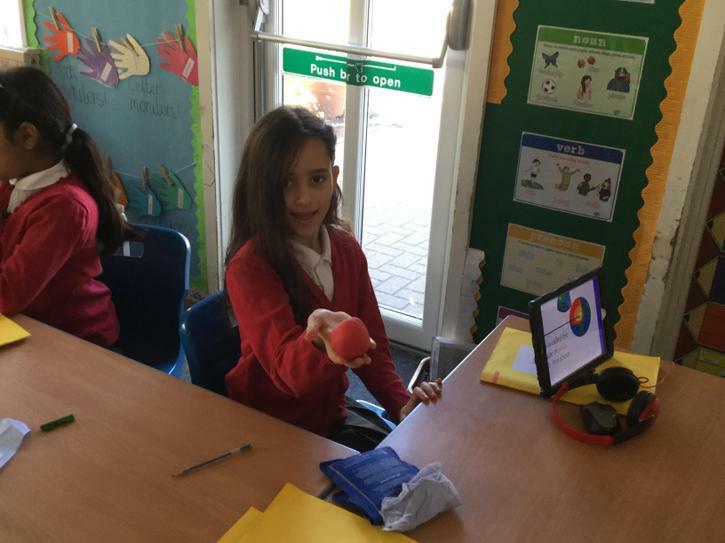 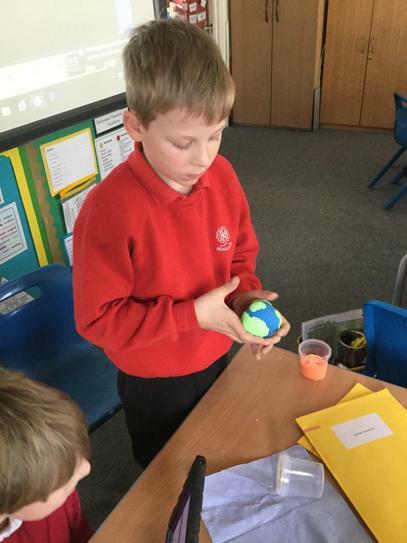 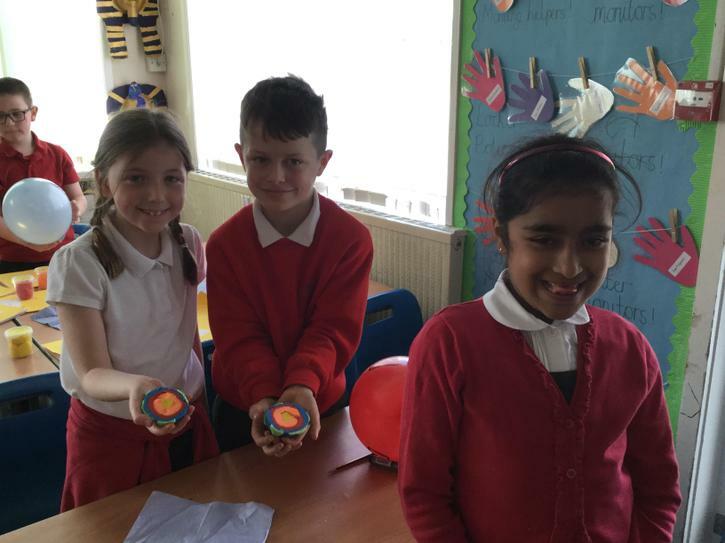 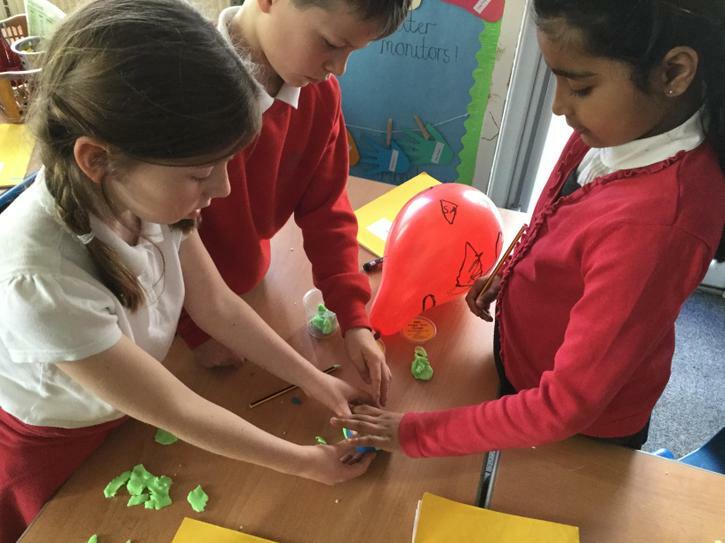 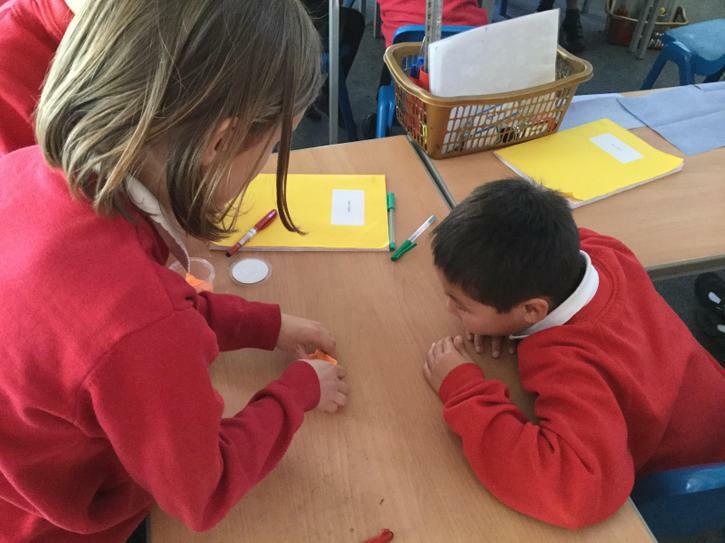 We had great fun making a plasticine model of the Earth to help us understand the order of the different layers! 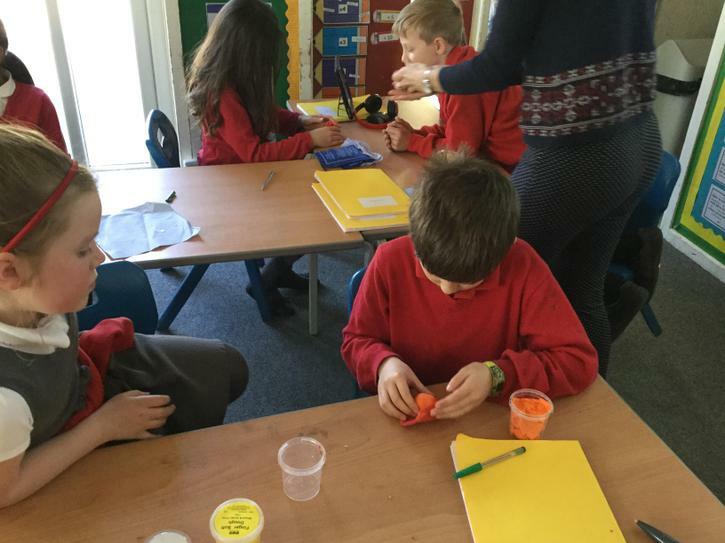 Discovering how sound is made through experiments! 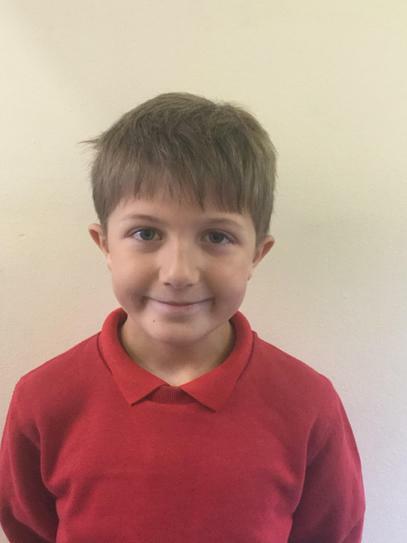 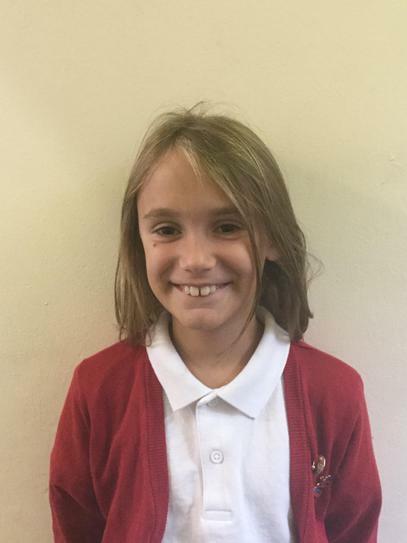 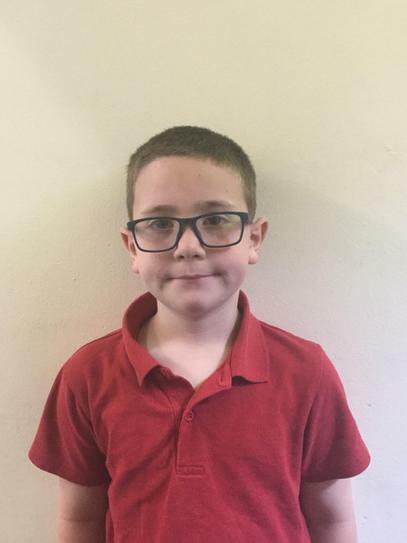 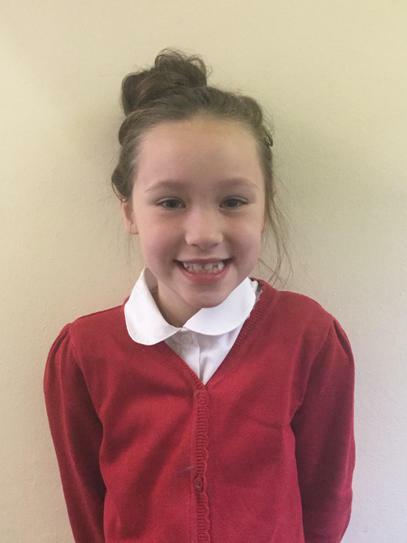 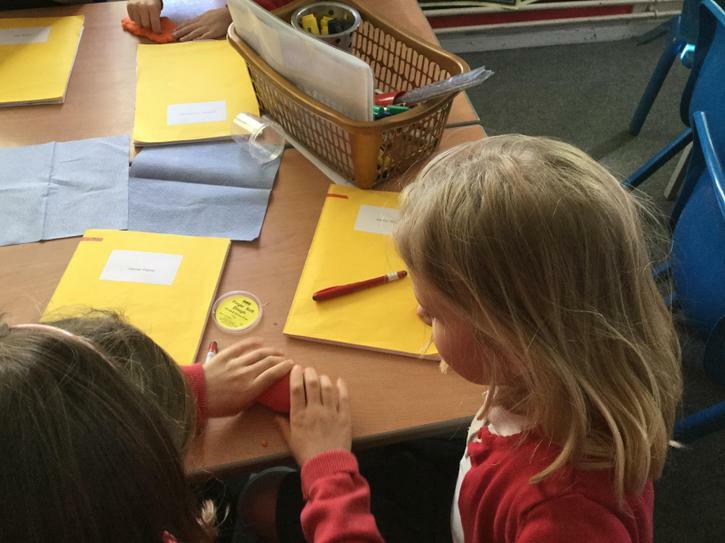 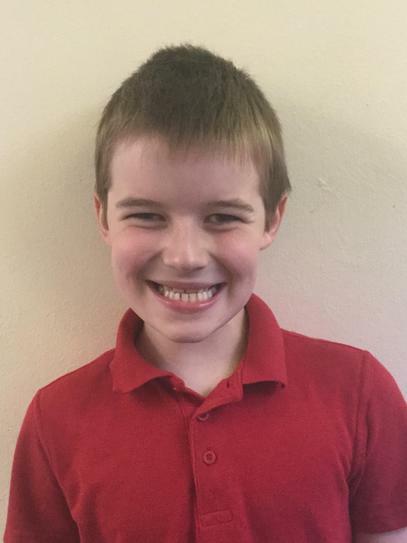 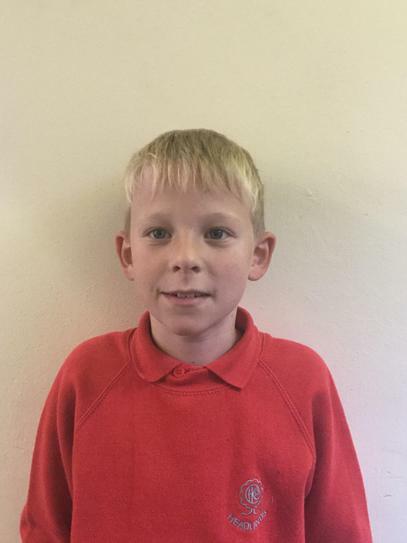 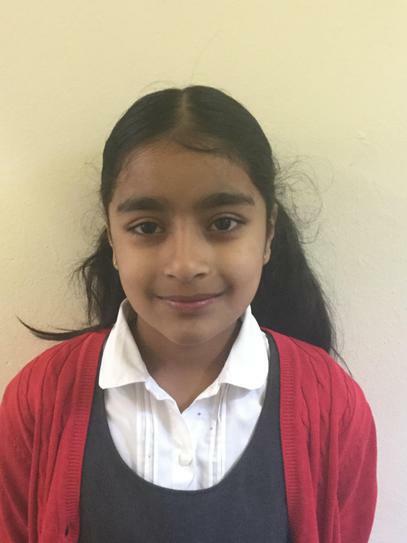 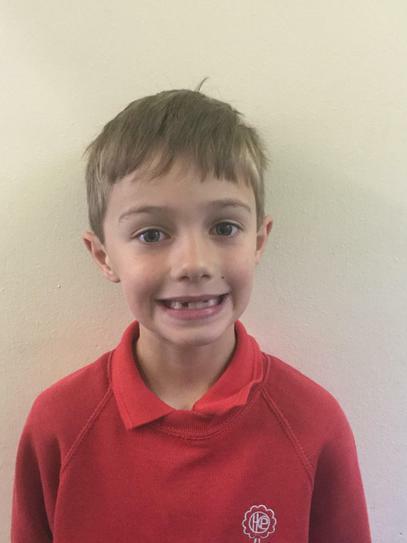 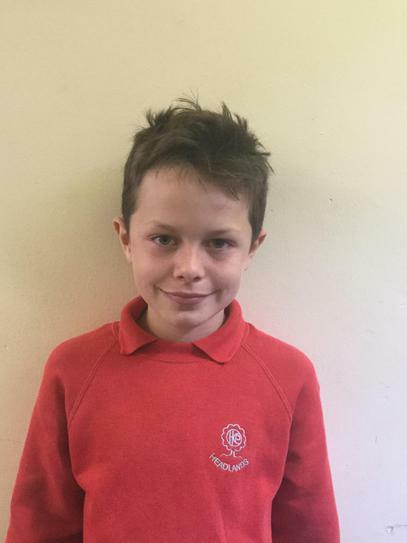 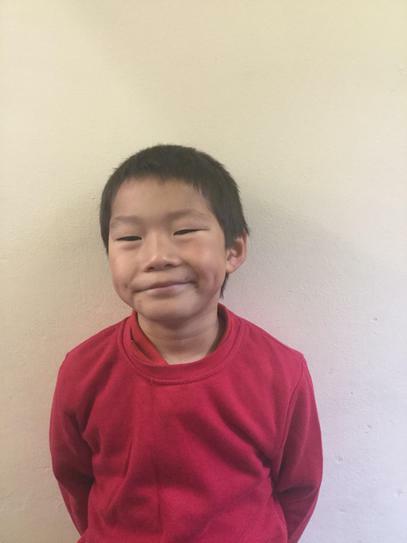 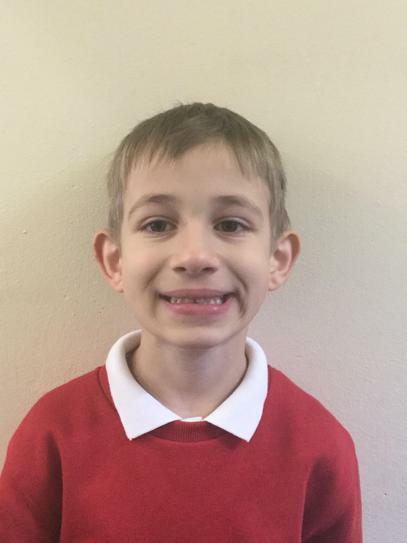 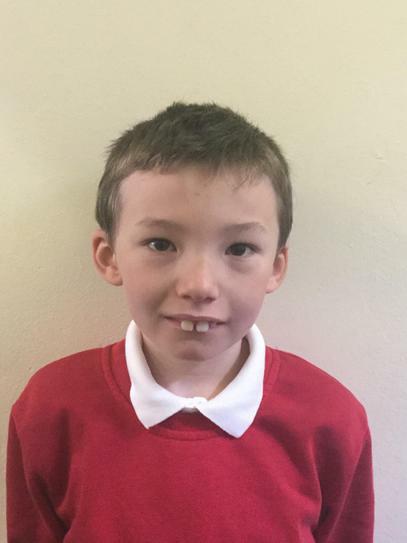 In literacy, we have been learning to write haikus following the correct 5,7,5 syllable rule. 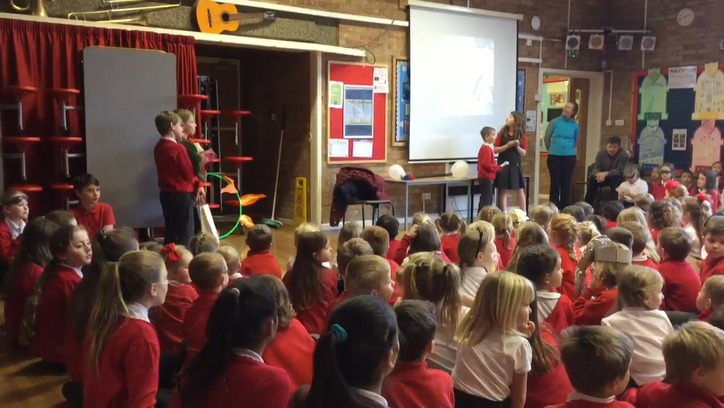 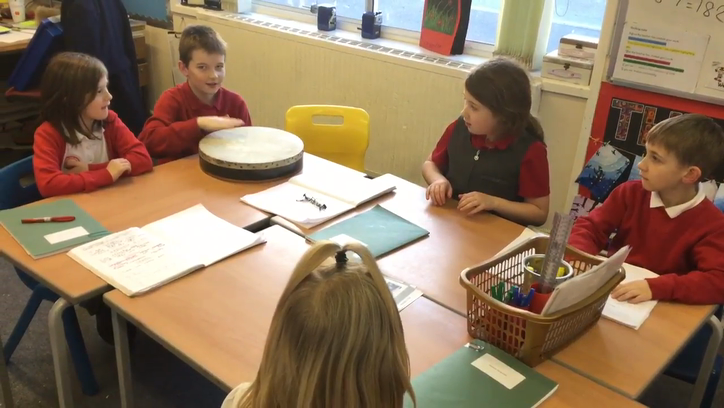 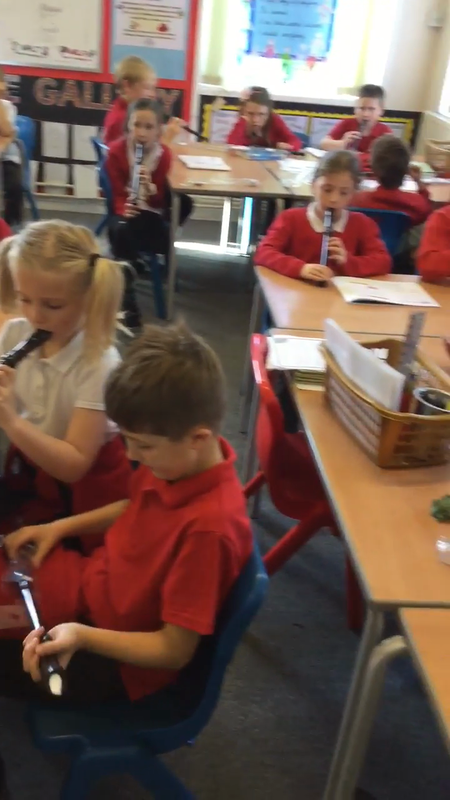 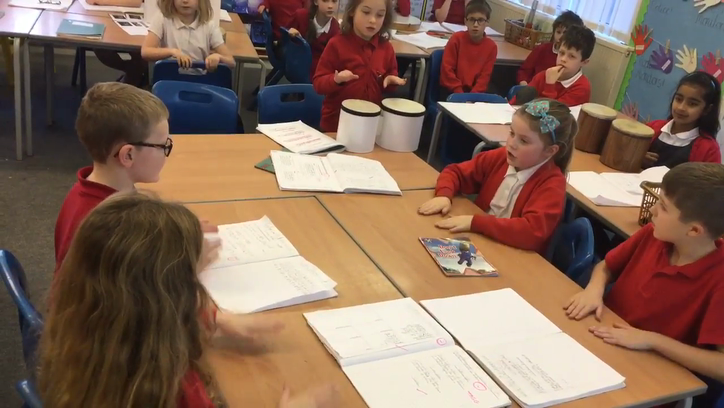 In music, we have been learning about the difference between rhythm and beat. 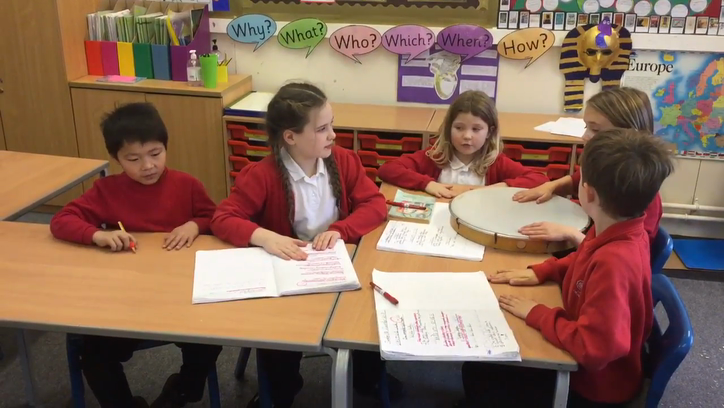 Here we are tapping out the rhythm of our haiku poems. 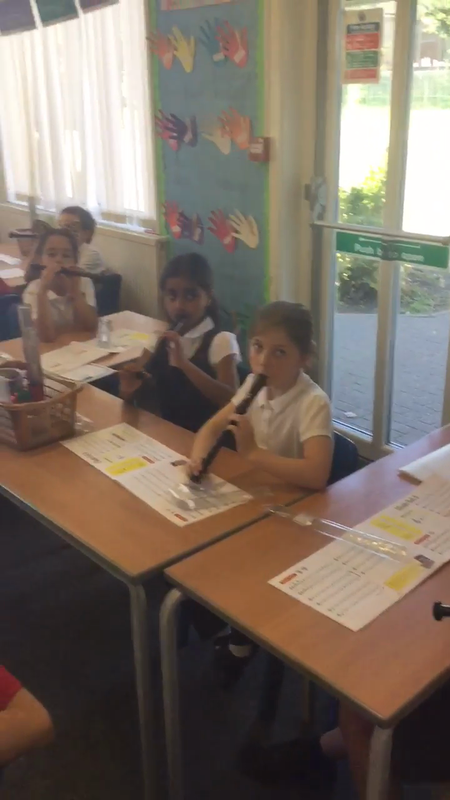 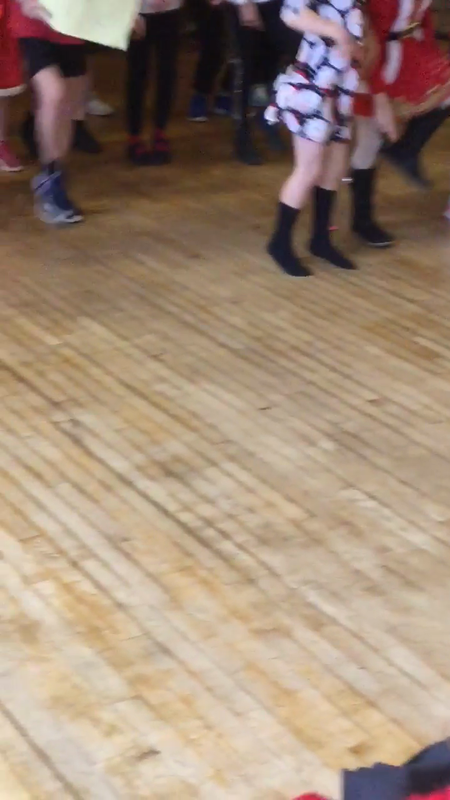 Today we learnt a new song! 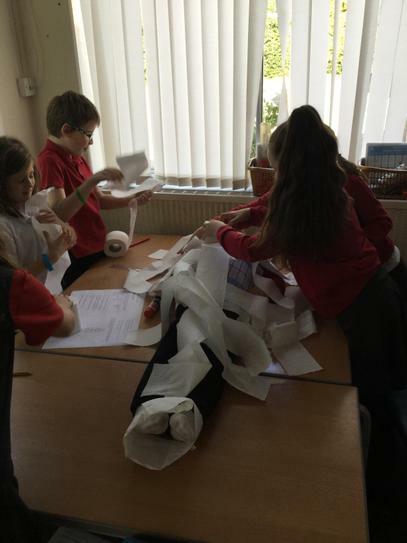 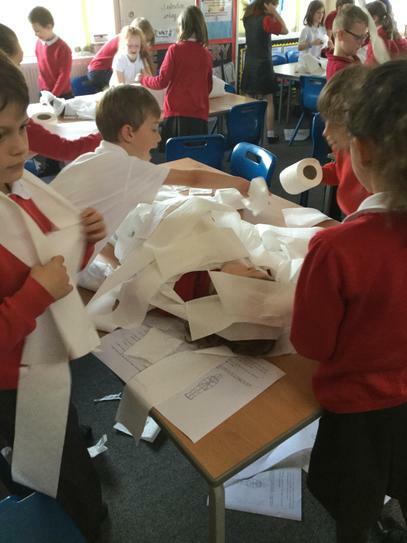 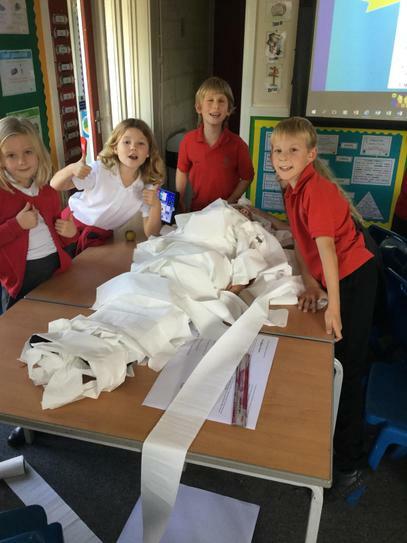 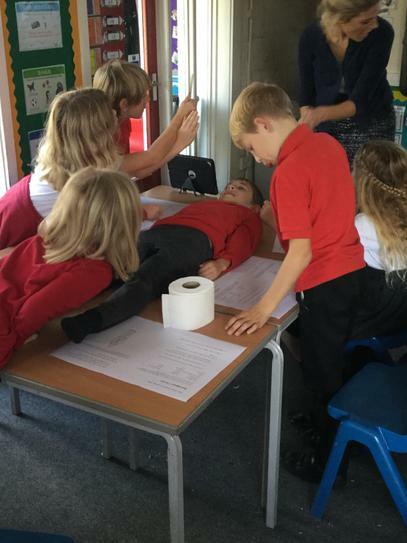 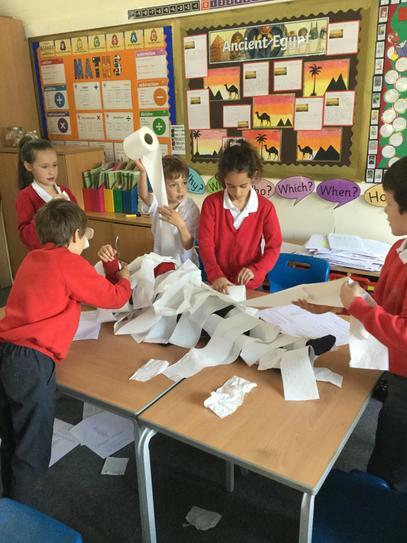 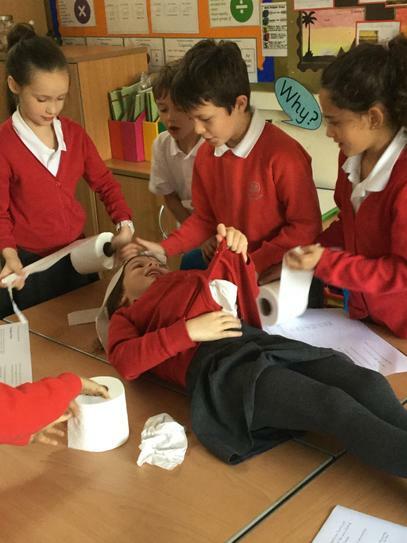 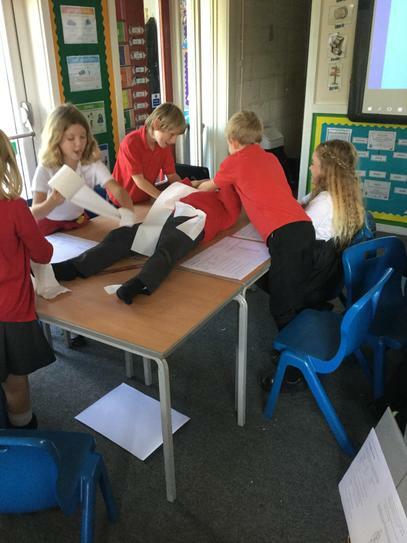 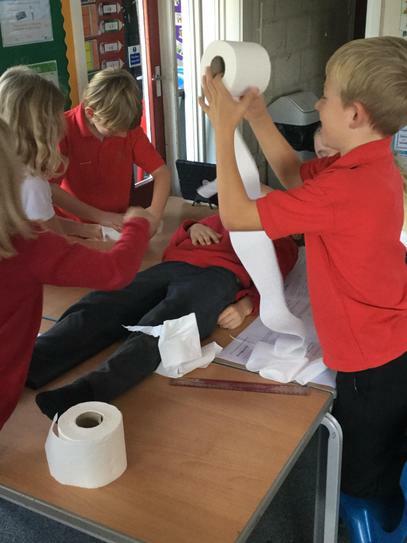 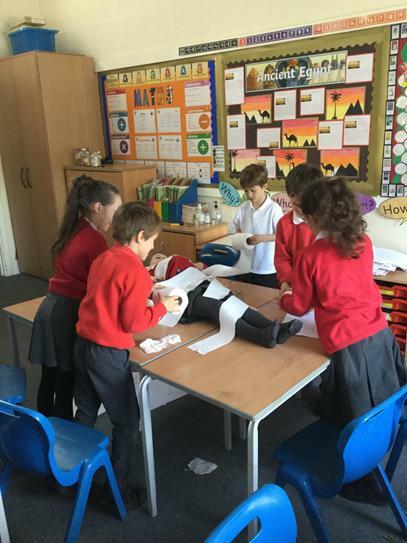 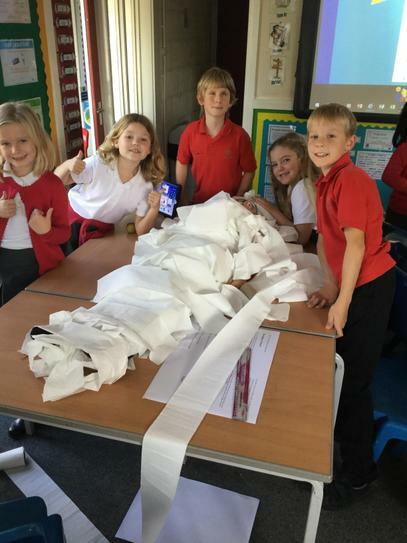 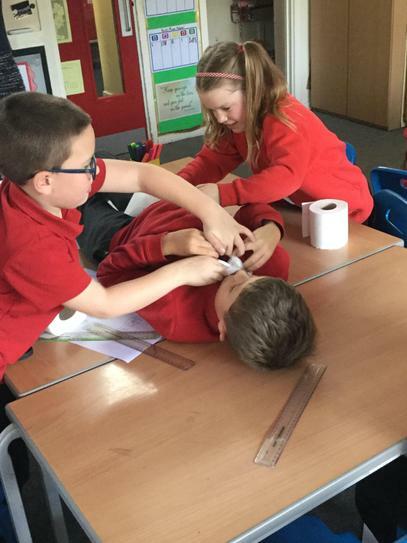 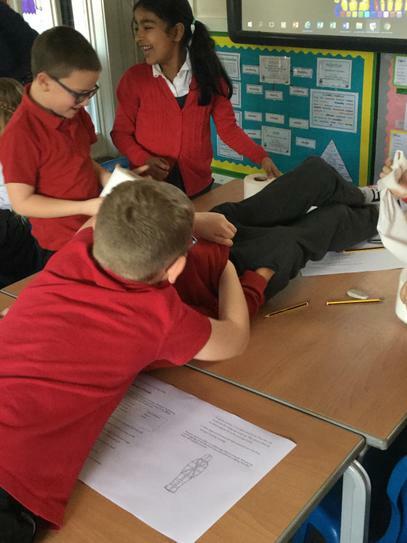 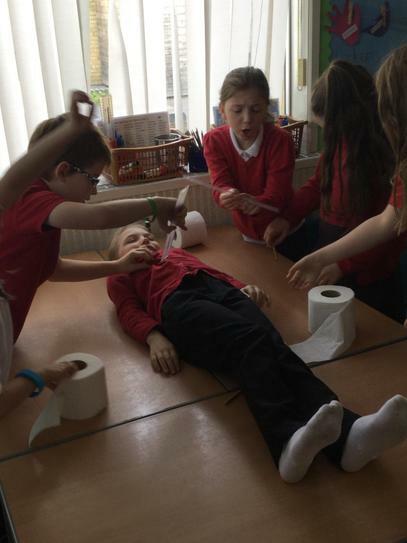 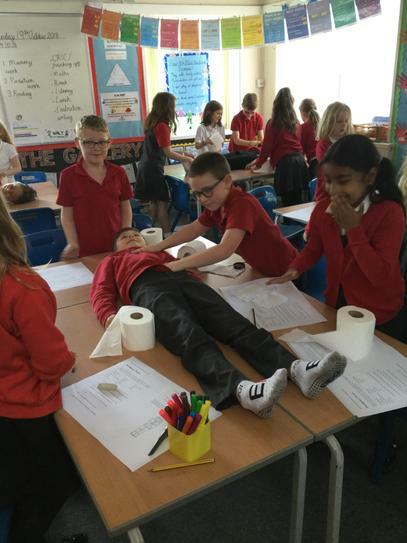 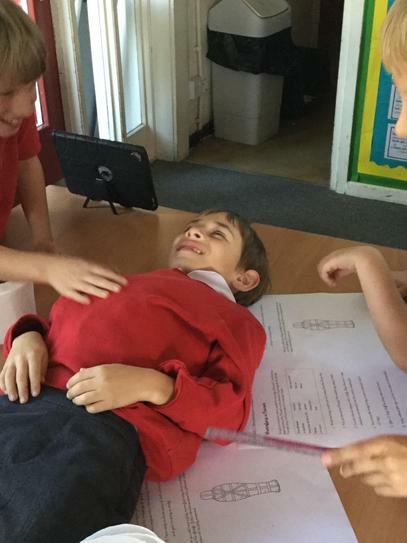 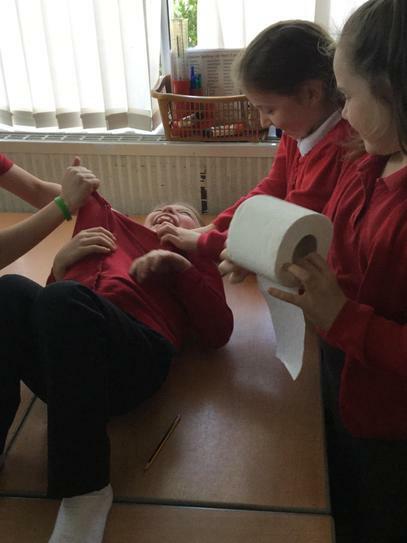 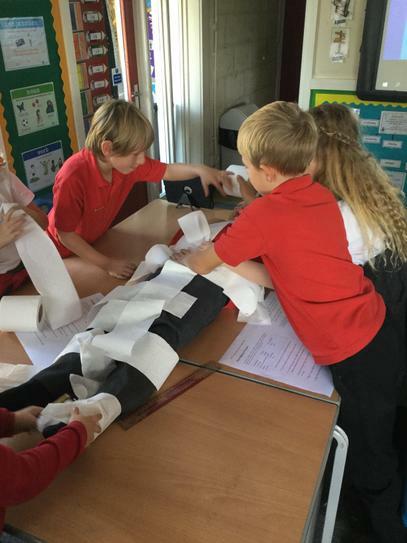 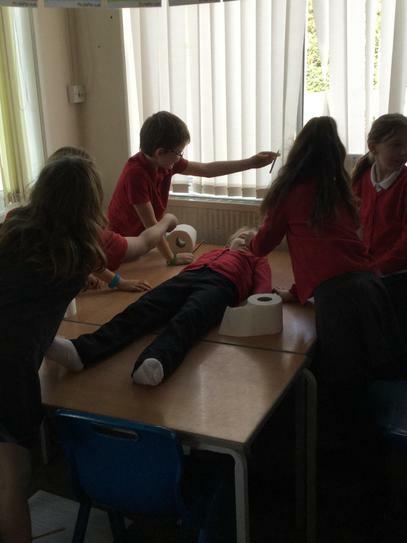 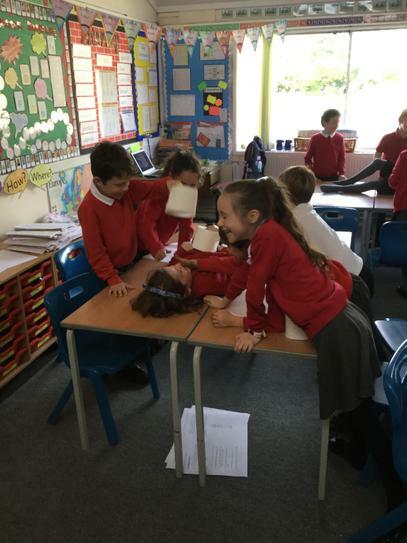 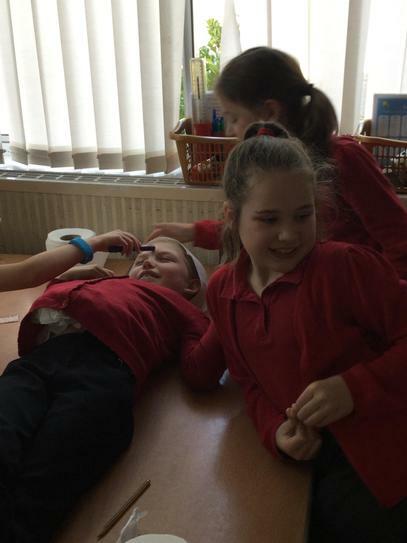 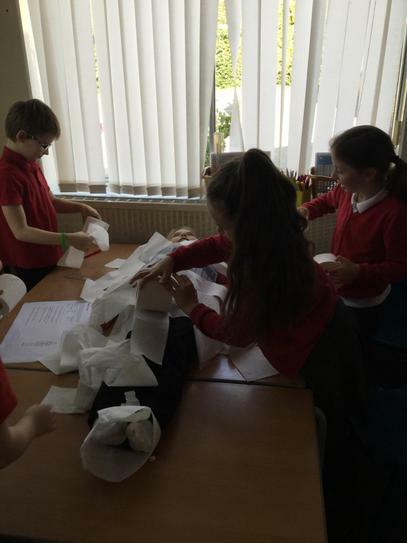 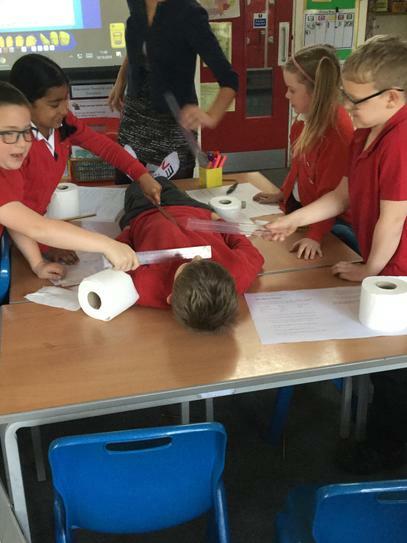 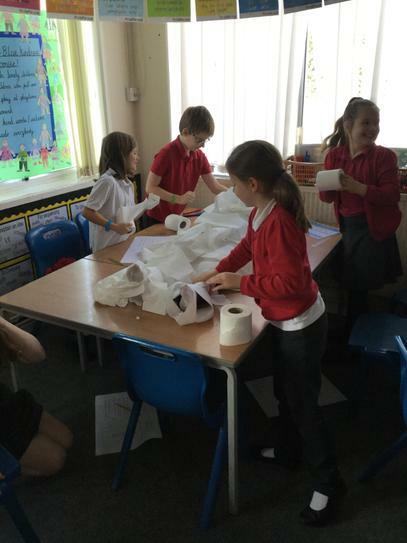 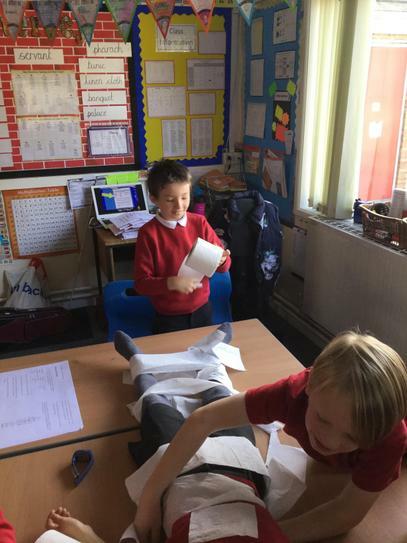 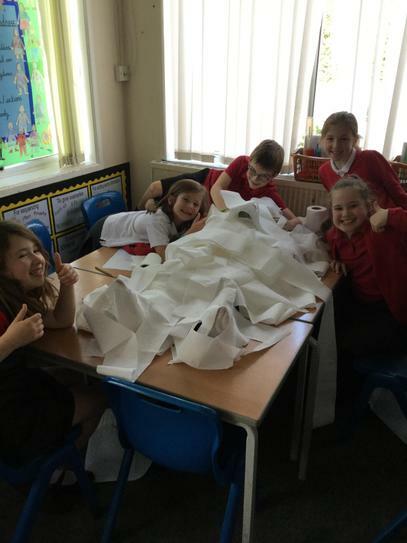 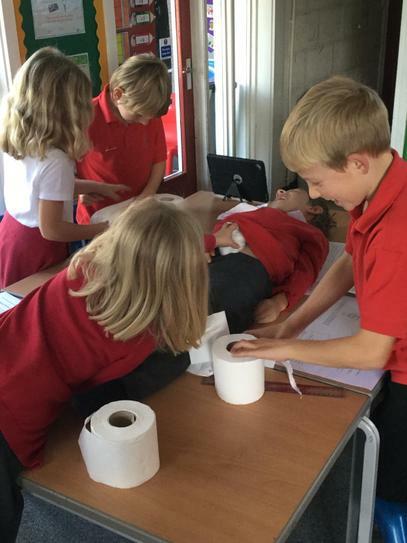 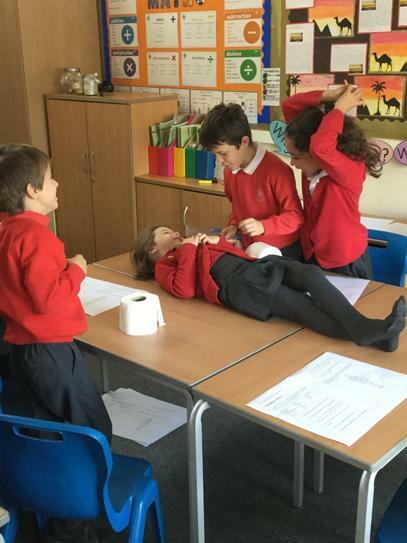 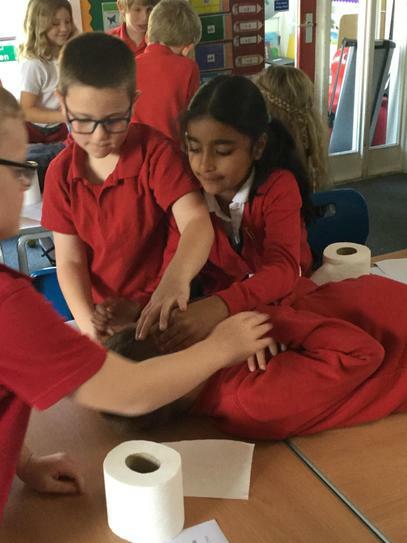 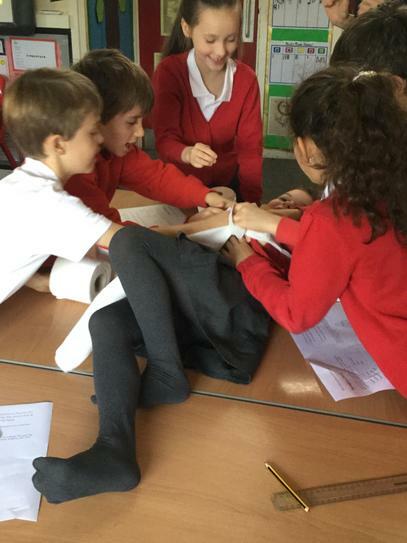 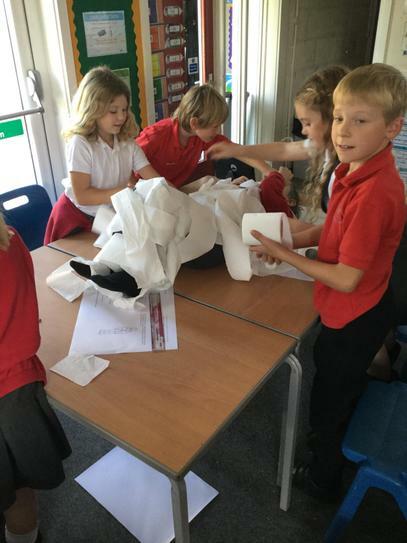 Today we had fun acting out the process of mummification. 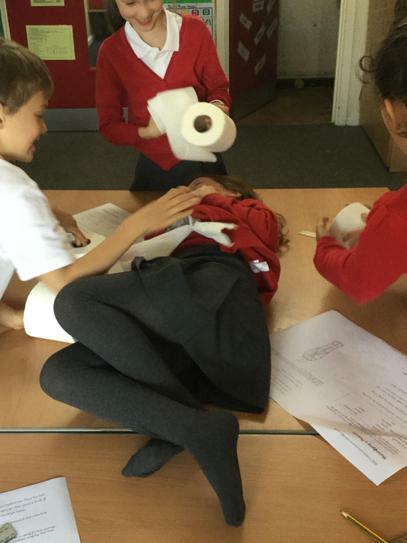 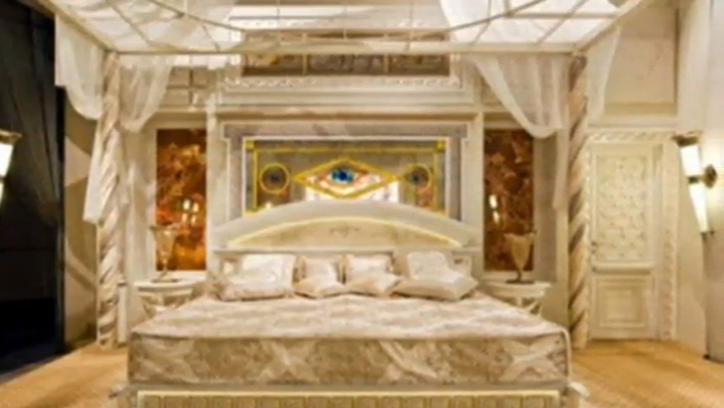 Firstly, the pharaoh’s body would be cleaned using palm oil and water from the river Nile. 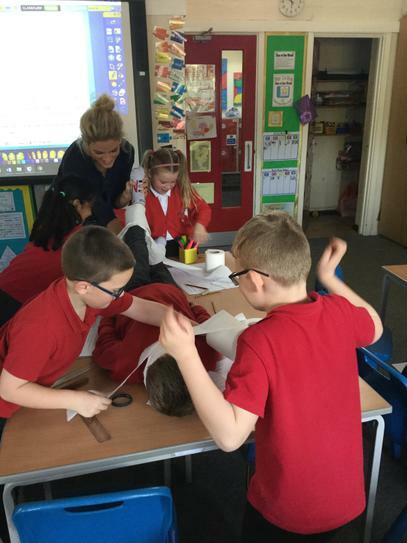 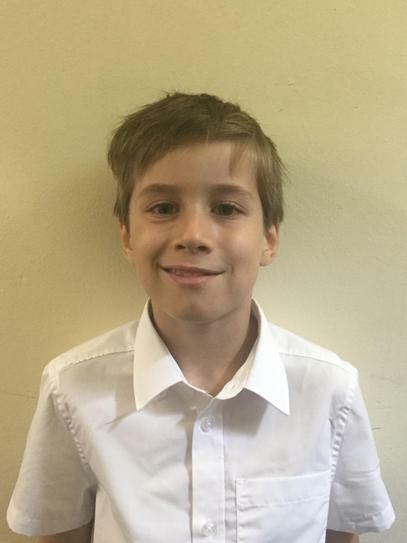 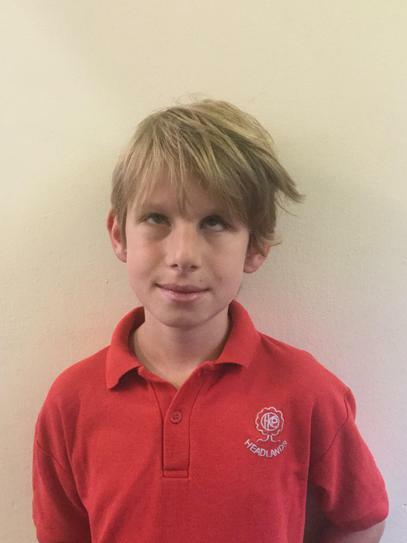 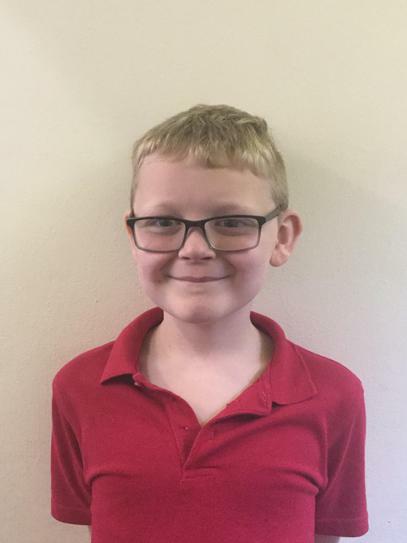 We pulled out the brain through the nose with a hook and then removed the vital organs, stuffing the inside of the body with pieces of linen. 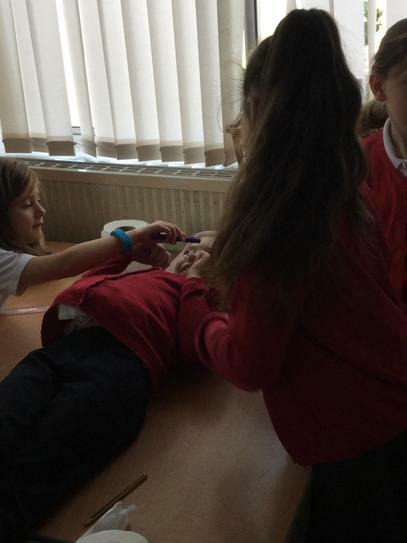 Next, we applied makeup, fake eyes and hair to make it look beautiful. 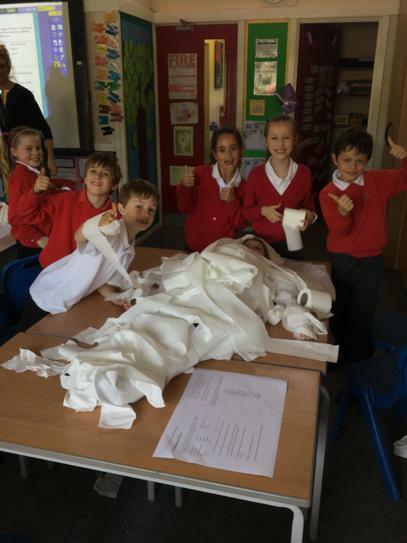 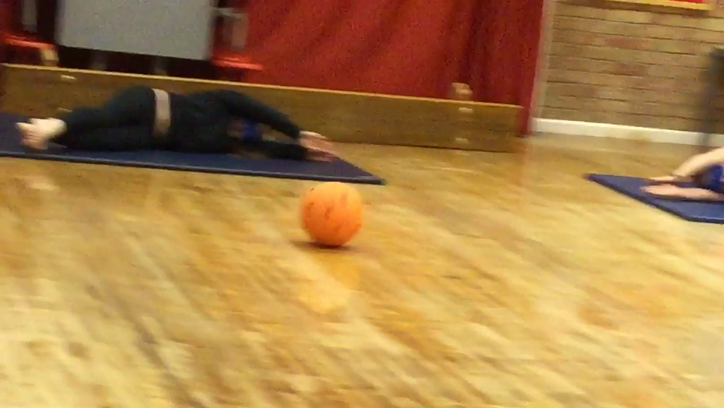 Finally, we wrapped the body in layers of linen cloth to preserve it. 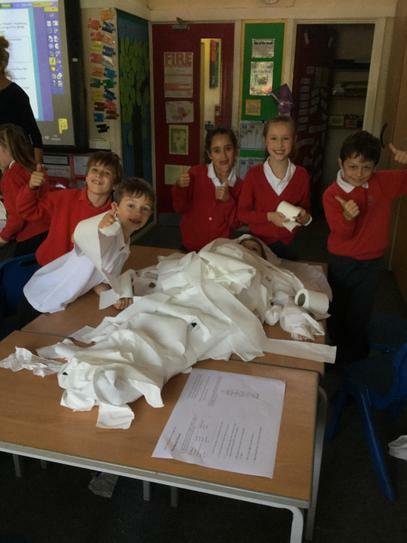 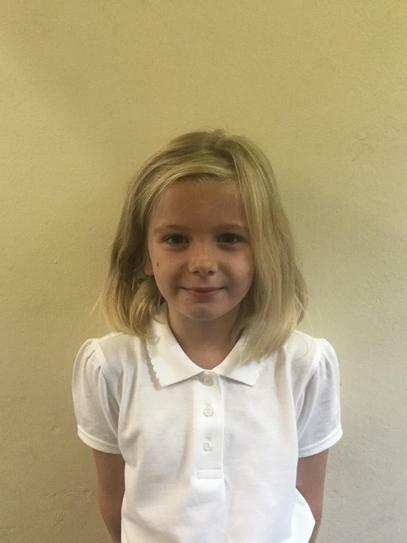 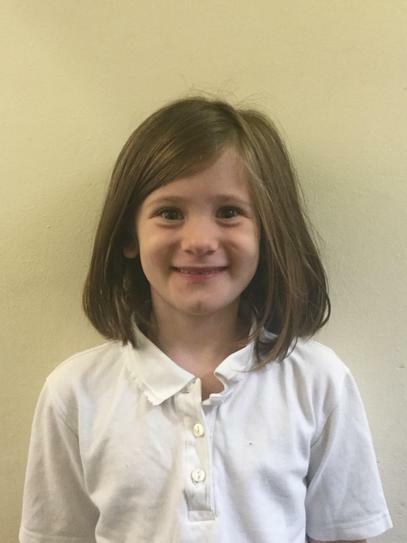 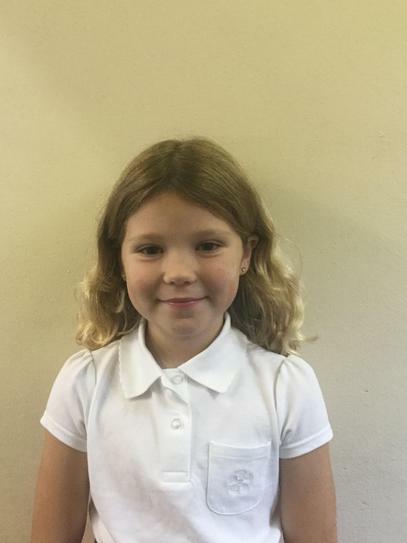 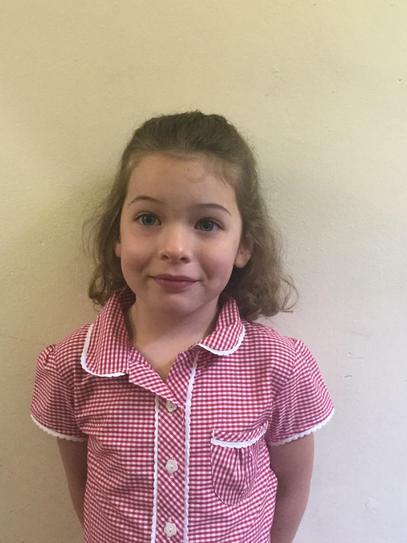 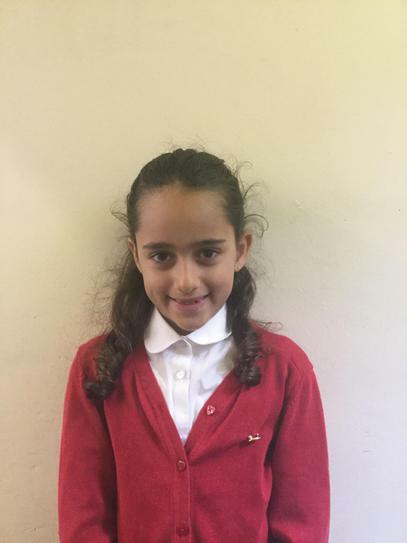 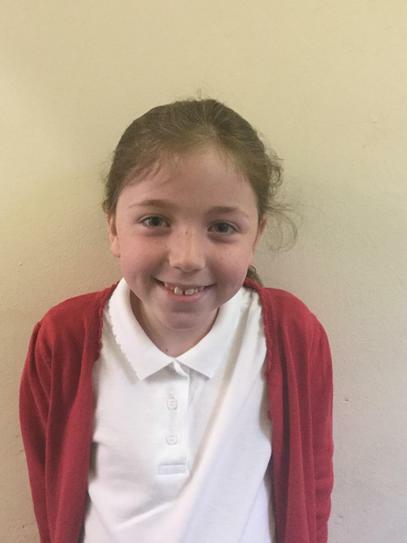 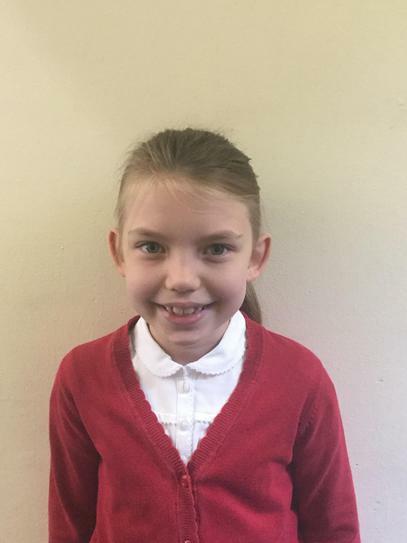 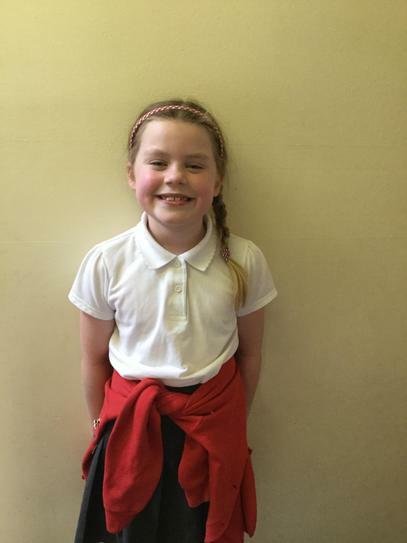 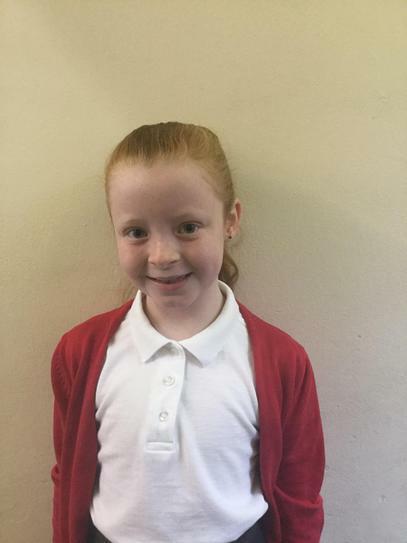 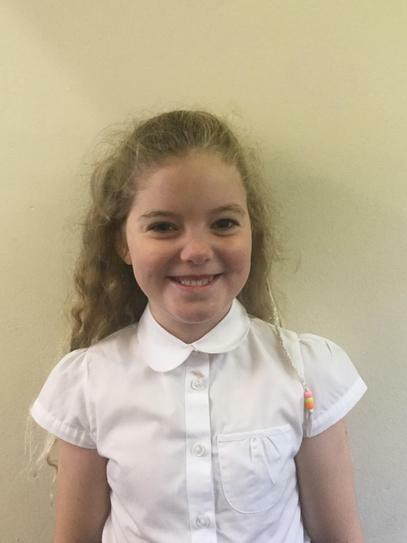 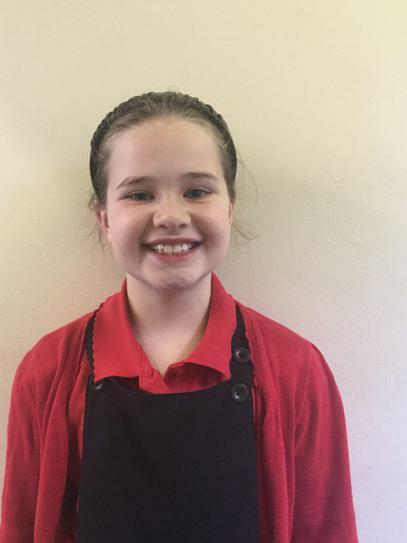 Thank you to Evie who so kindly brought in some traditional Egyptian clothing for us to try on!